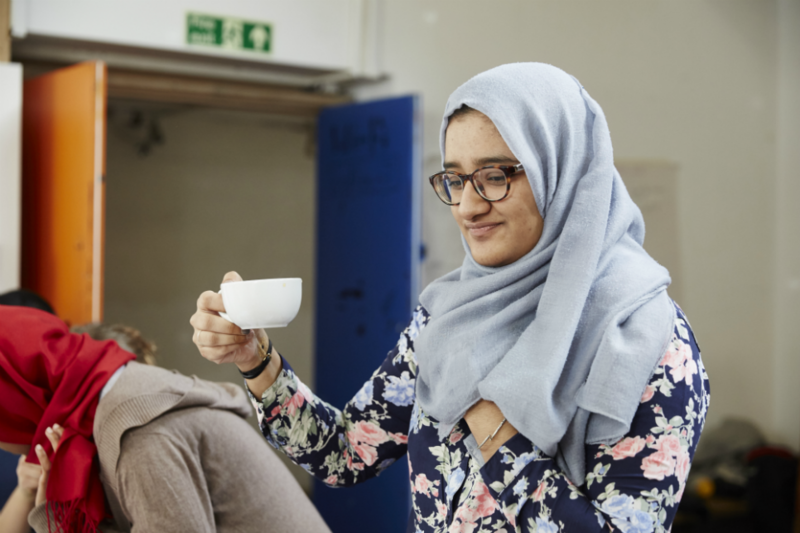 Well Grounded have already supported 93 people into work through their training academy in Tower Hamlets, transforming trainees’ financial situations as well as their emotional and personal well-being. 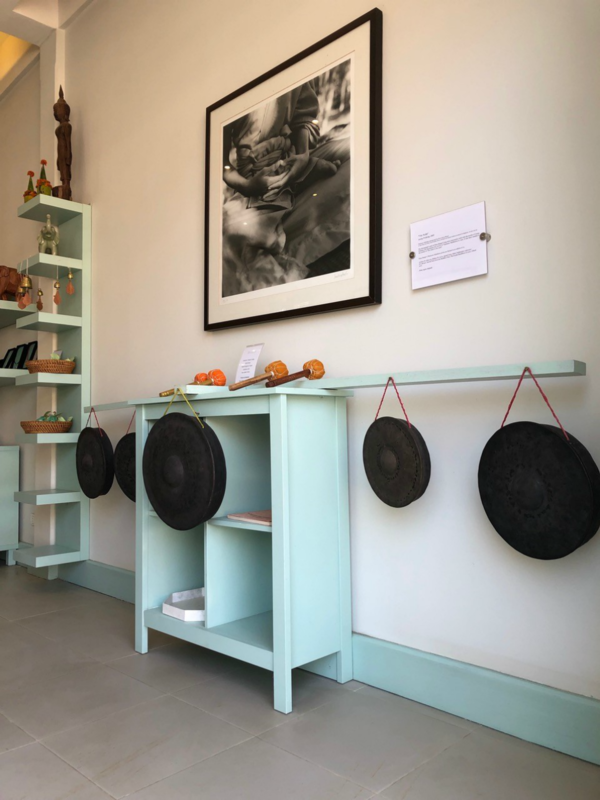 With support from the Badur Foundation, Well Grounded are launching a second academy in Kings Cross, where they will offer training programmes to local people in a new area of high deprivation. 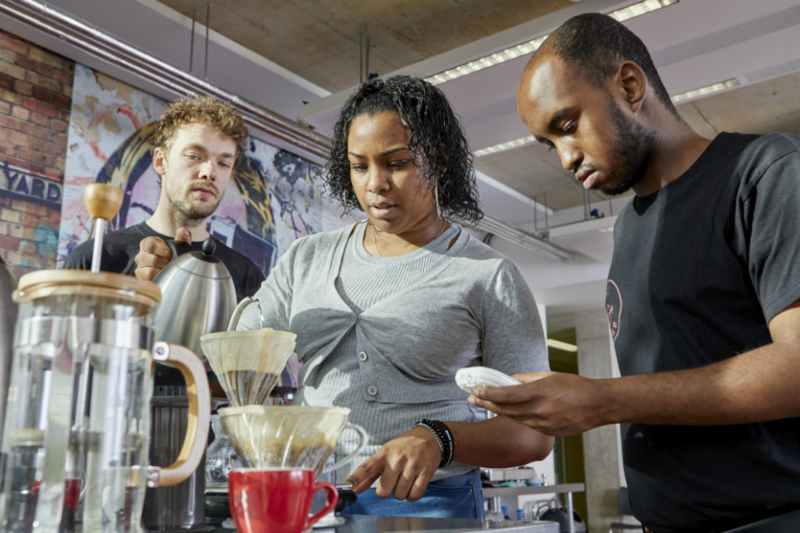 Established in 2016, Well Grounded is a social enterprise and speciality coffee training academy connecting people most disconnected from the labour market with sustainable careers in the coffee industry. Trainees include the long-term unemployed, refugees and asylum seekers, people with mental health challenges and NEETs (young people not in education, employment or training). Well Grounded offer a 2-week and 9-week work-readiness training course. 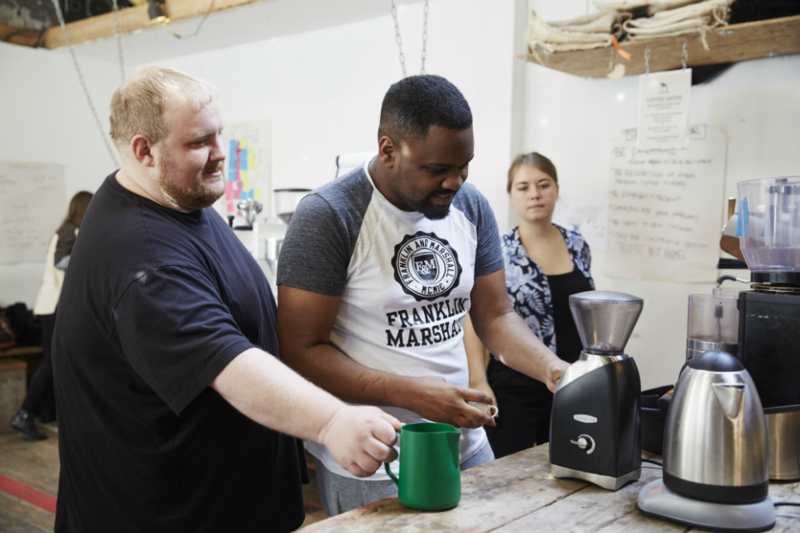 Both lead to a Speciality Coffee Accreditation and employment opportunities, but the 9-week course offers additional wraparound support and work experience for those who need it. 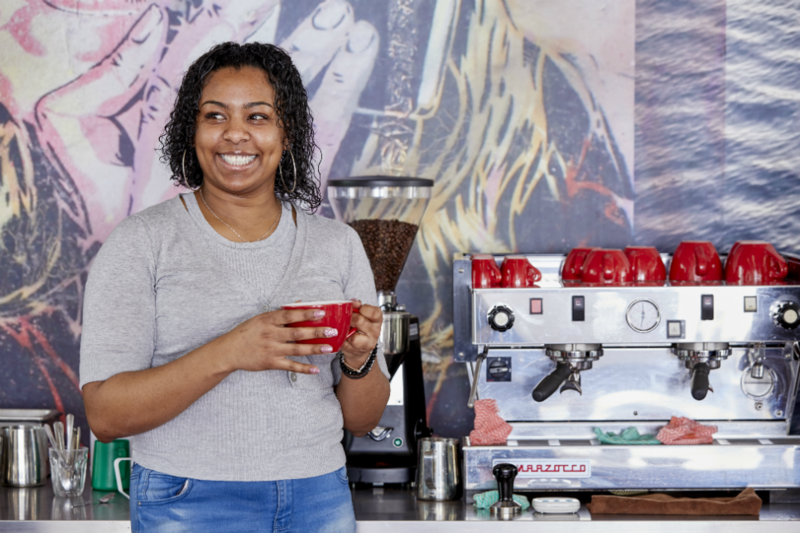 Through the delivery of ongoing employment support and mentoring days, Well Grounded continue to support their graduates to grow into new roles such as Head Baristas, Roasters and Coffee Traders. They also support beneficiaries into further training and roles outside the industry. Well Grounded aim to transition Graduates into the right training and employment solutions both within and outside coffee. The launch of their second academy in Kings Cross will increase Well Grounded’s social impact, as well as allowing them to grow new income streams in order to build a sustainable business model. The new academy will also enable them to offer higher level training for Graduates, aiming to lift people out of ‘in work’ poverty, as well as to roll out training programmes and facilities for the wider coffee community and public. The team aim to design a replicable model that can be implemented across the UK in cities with high levels of unemployment. “I have a Moderate Learning Disability on the Autistic Spectrum and have struggled to find employment ...Then Well Grounded came along, believed in me and gave me the opportunity to succeed. I really enjoyed my time learning more about how to make coffee, where it comes from, and different coffee tasting notes. I love my job as a Barista. It’s given me the platform to achieve my targets. I am in this for the long-term.” Zak Osman, Barista since 2016 at The Shard. Poor behaviour and disengagement from school can have huge detrimental effects, from reduced pupil outcomes and school disruption, to increased pressure on staff time and well being. 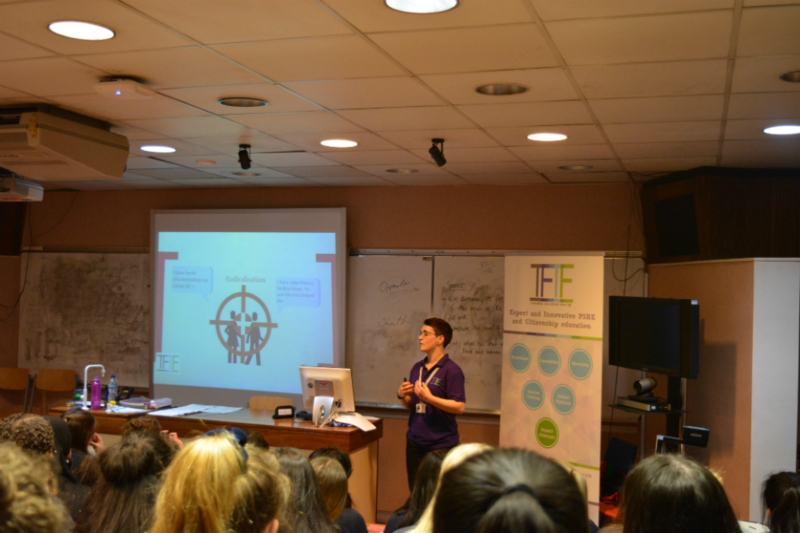 The Badur Foundation is proud to support Think for the Future, a social enterprise working with schools to tackle challenging behaviour head on, targeting students in need of support with a highly structured and pupil specific programme. 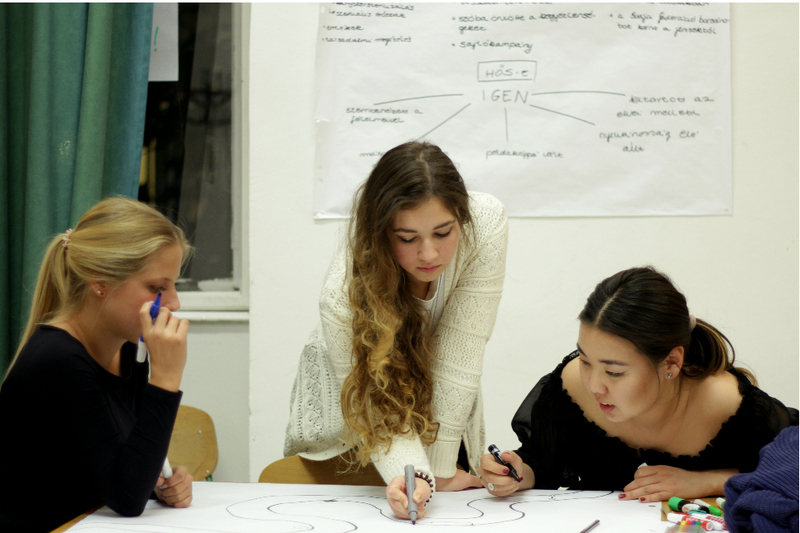 Think for the Future was founded in 2013 to tackle complex social problems that are creating barriers for young people within the education system. 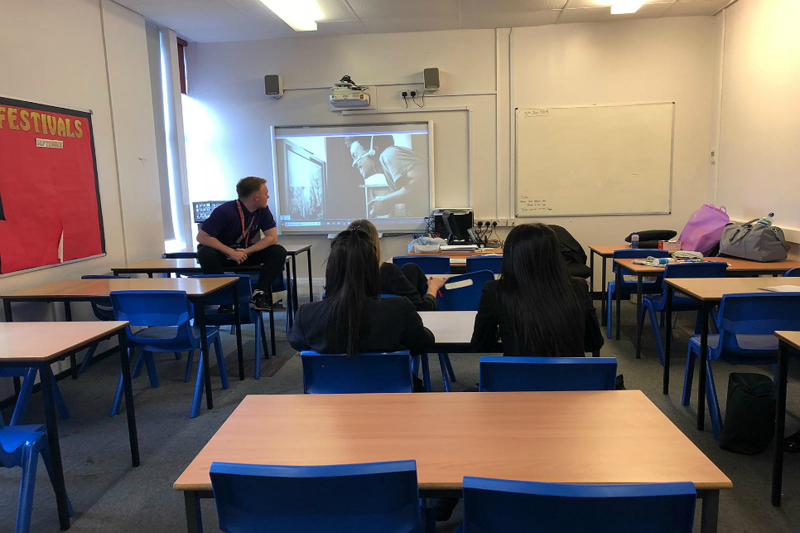 They deliver a tailor-made Behaviour and Resilience Mentoring service working with young people that schools have identified as ‘at risk’ of being expelled. Behaviour and Resilience Mentors are positioned in schools on a weekly basis, targeting specific outcomes with each pupil. The Foundation supported Think for the Future to trial their innovative Behaviour Mentoring provision, as well as to pilot delivering their services on a payment-by-results scheme. This method allows schools to target the specific needs of their pupils and the challenges they are currently experiencing - only paying for the outcomes delivered. Outcomes are pre-agreed with the school and can include positive/ negative behaviour points, attendance, incidents, and more. 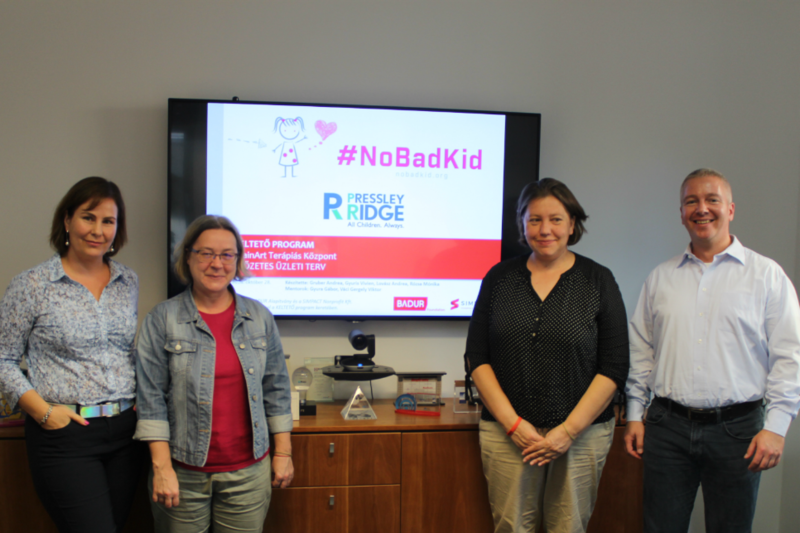 With support from the Foundation, Think for the Future have successfully tested and verified their business model, which generates high quality social outcomes for mentees and cost savings for schools. After successfully growing to support over 45 schools, they are currently working towards financial sustainability. 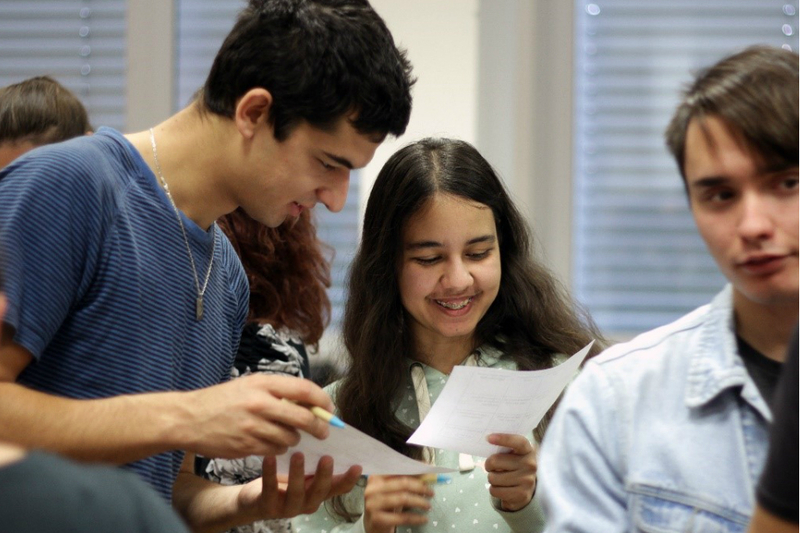 The next steps are to replicate their model further and to expand the number of areas they reach as well as the number of students who can benefit from their support. In 2019, Badur Foundation launched the latest edition of its Social Enterprise Development Programme, which supports organisations and informal teams working in impoverished communities to develop viable and sustainable social enterprise ideas, or to improve their existing social enterprise to reach long-term sustainability. The programme is carried out in cooperation with SIMPACT. The Call for Application was launched in February 2019 and 16 applications were received. After a thorough assessment of the applications including field visits, Badur selected seven organisations and commissioned SIMPACT to provide four-month training focusing on idea generation, validation and business planning. Financial support: The available amount is 15,000,000 HUF that will be allocated to up to three social enterprises. The Foundation will tailor the amount and the conditions to the needs of the organisation and the business plan. The support may be used to finance a pilot project, purchase equipment, organise a study visit, cover the start up costs and initial loss of the enterprise. Professional support: The Foundation additionally invites the selected organisations into a long-term professional partnership, closely following their development and providing professional advice and guidance as needed. 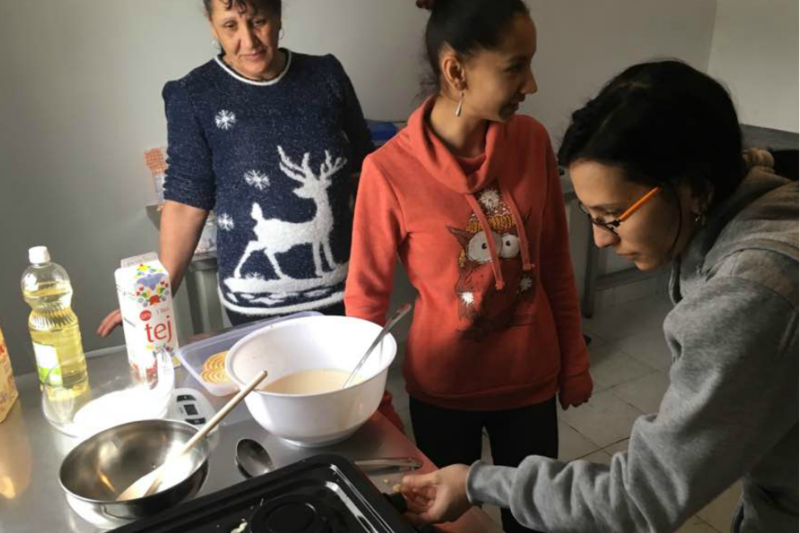 BAGázs Public Benefit Association has been working since 2011 to contribute to an inclusive and accepting society in which Roma people have a chance to achieve their goals. 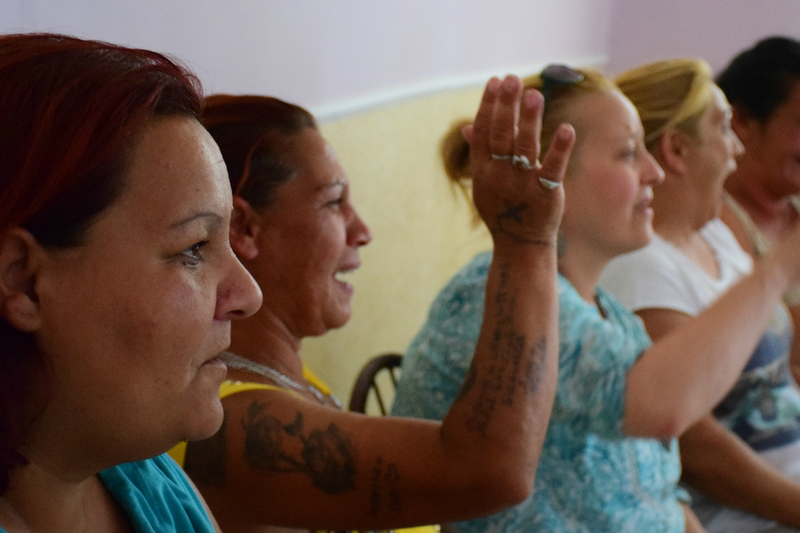 BAGázs provides resources for Roma communities to enable them to recognise and articulate their needs. 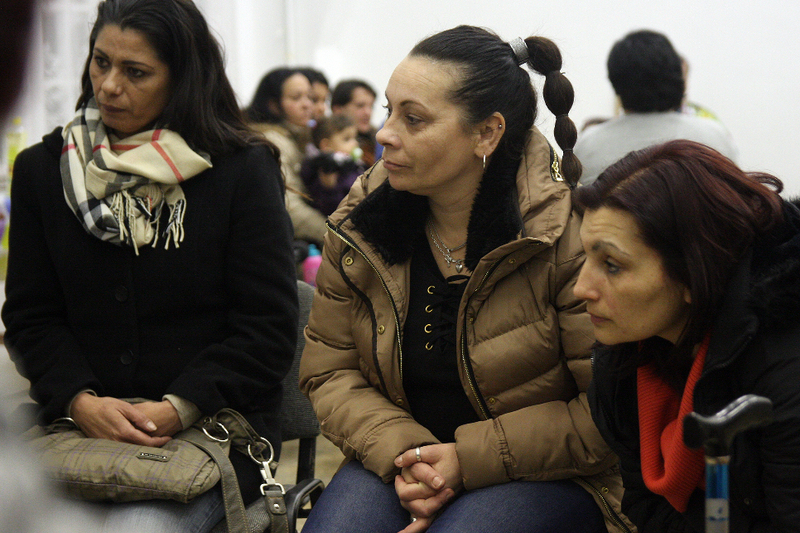 In parallel, the Association sensitises members of mainstream society to become more accepting of Roma communities. 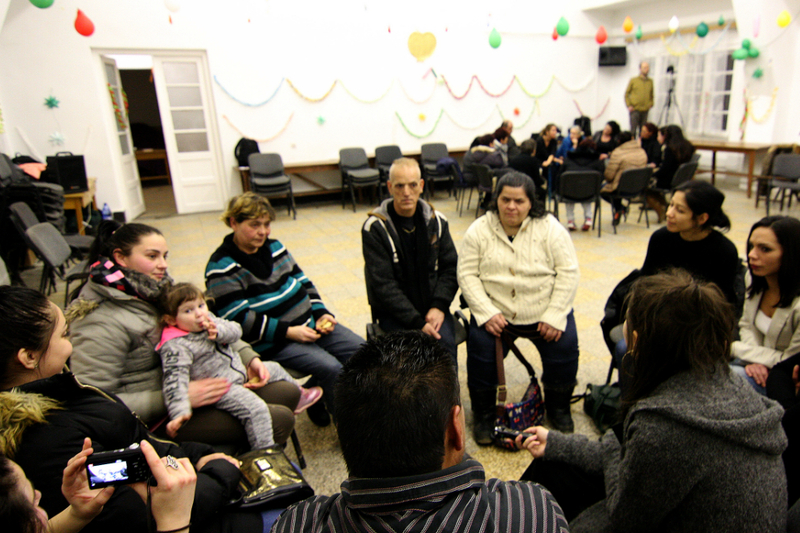 The Association implements their activities in two Roma settlements (Bag, Dány). 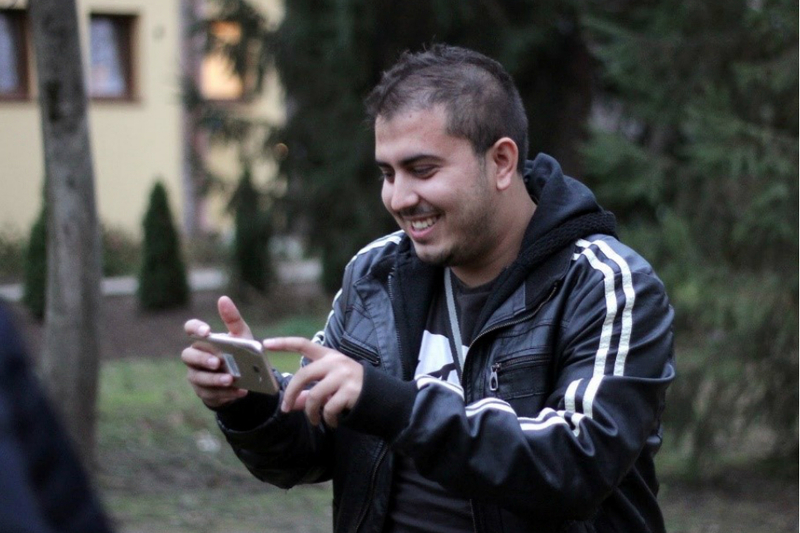 Through Badur’s Springboard programme, BAGázs developed the business plan of a mobile charity shop that provides access to quality clothing at a very affordable price for underprivileged communities in Pest County, in addition to creating employment opportunities for local community members. 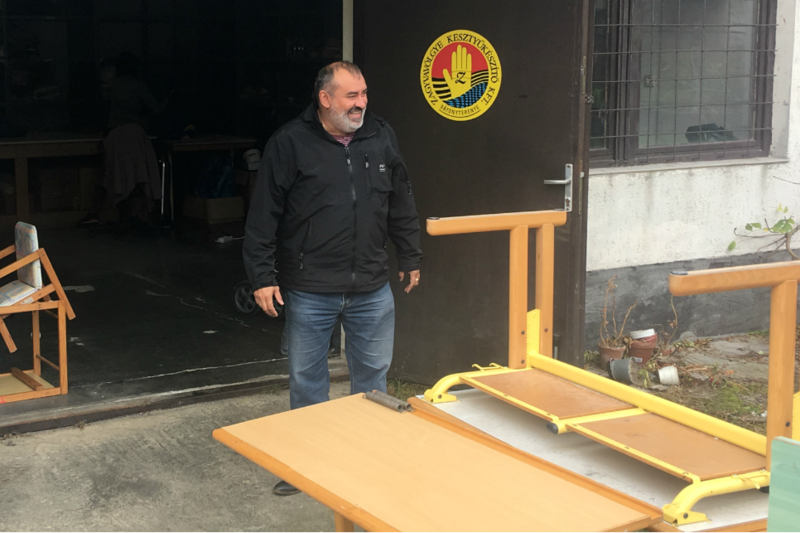 With the support of ERSTE Seeds Programme, BAGázs launched a mobile charity shop in May 2018. 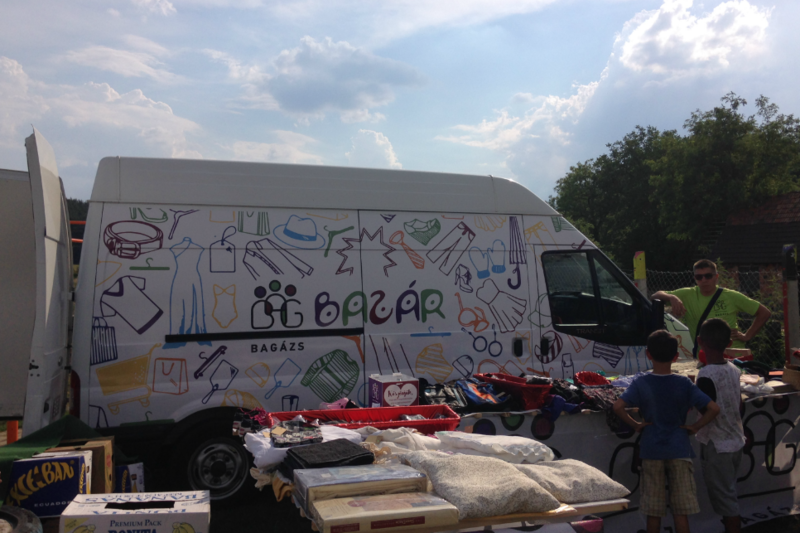 The mobile charity shop focuses on the area close to Bag and Dány, but during the summer season, they appear on the major Hungarian festivals as well. 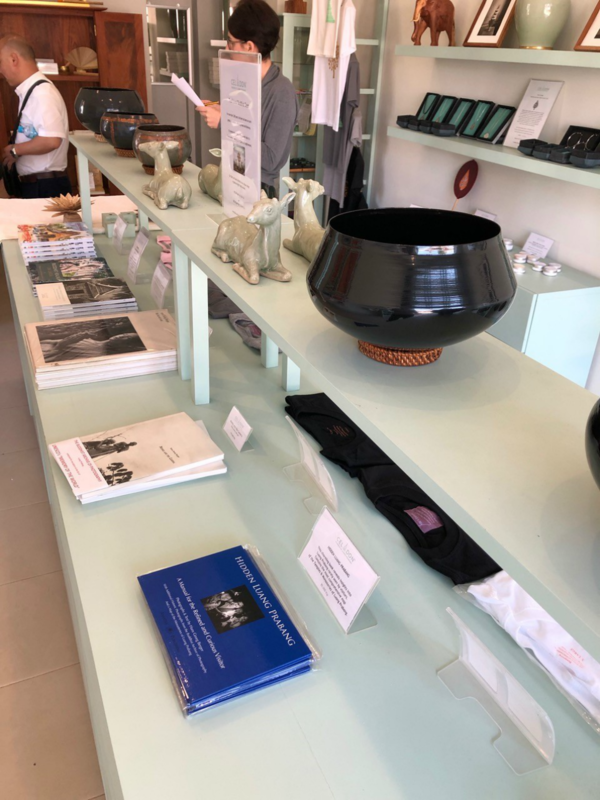 In the long run, the Association had always intended to complement the mobile shop by opening a charity shop in Budapest in order to enhance their social impact and to strengthen the financial vitality of the two complementary business initiatives. 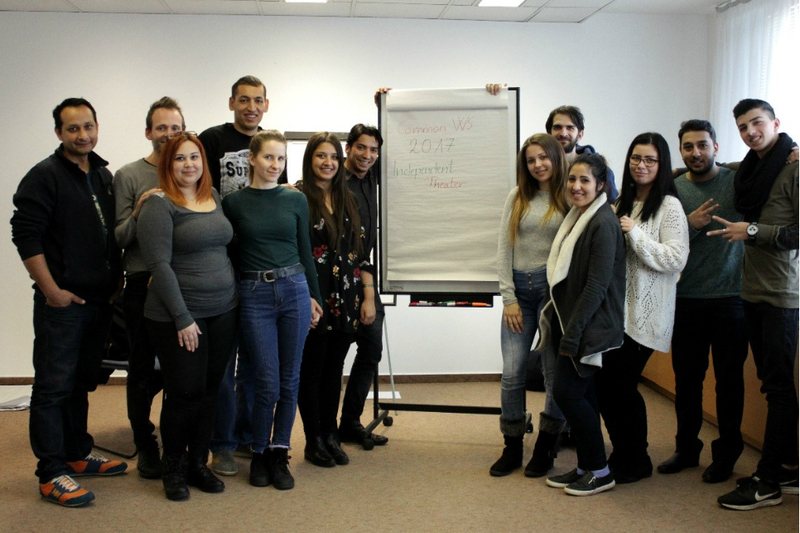 As part of their Springboard award, Bagazs received professional mentoring to develop a business plan for the charity shop in Budapest. 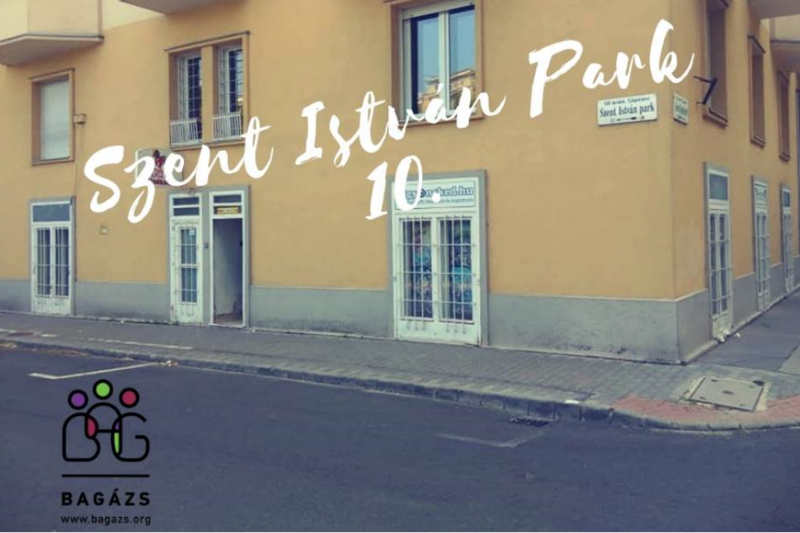 In August 2018, BAGázs found the right location for the charity shop in 13th District of Budapest, next to the Szent István Park. The place is well fitting to all ideas and needs of BAGázs and the envisioned charity shop concept. 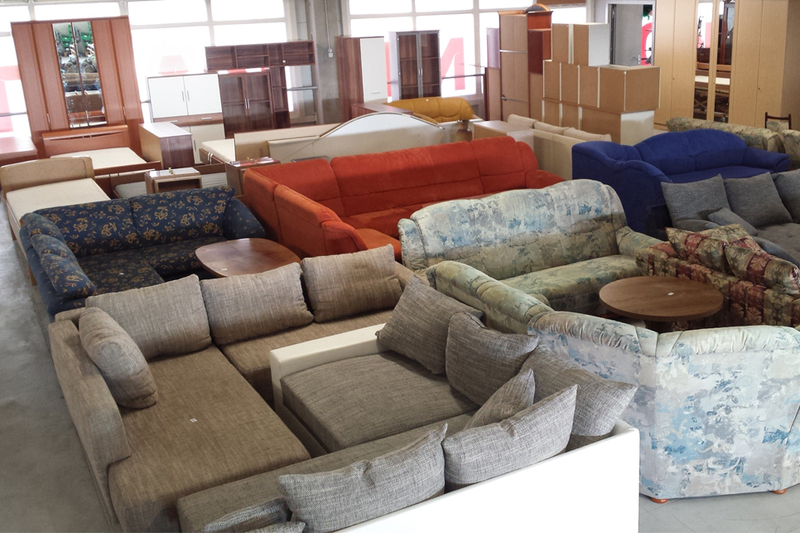 The location of the shop is suitable for the integration of a charity shop and a community space. In addition, the Association can also move its office to this location. The Foundation awarded financial help to Bagazs to cover the start-up cost of the charity shop including part of the renovation costs. The renovation of the building started in September 2018 and the shop was opened in December 2018. The Foundation will closely monitor the development of the business activities and assist the management as needed. 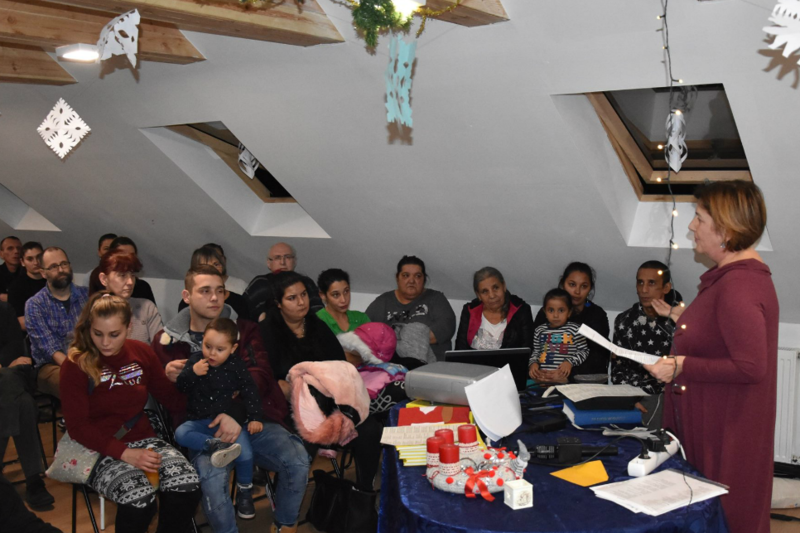 The Association of Roma Minority Representatives and Spokespeople of Nógrád County has been undertaking vital community work in the Northern Hungarian region. Since its establishment in 1996, the main mission of the organisation has been to reduce child poverty by providing assistance to families in need. The team have a wide regional focus and actively support families living in Bátonyterenye, Mátraverebély and Lucfalva. The Association is one of the Foundation’s strategic educational partners. 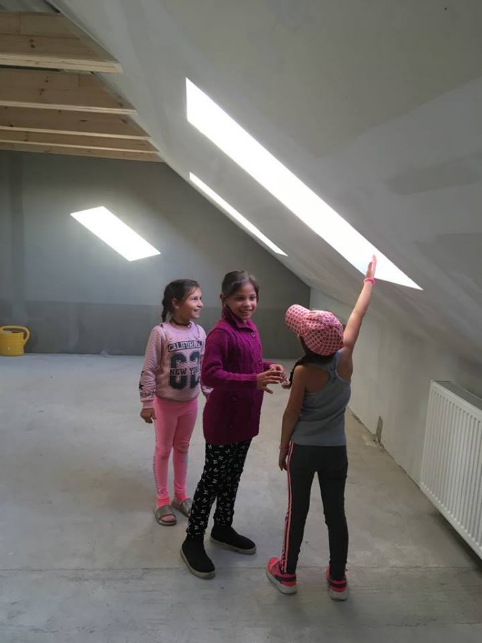 Our cooperation started when the Association faced a moment of crisis and Badur helped them to acquire and renovate their own after-school building in Bátonyterenye. This investment was the first, and very important, strategic step towards increased sustainability. Details of this project are described here. Ever since, the Association team have been trying to diversify their income streams by increasing revenue-producing activities. 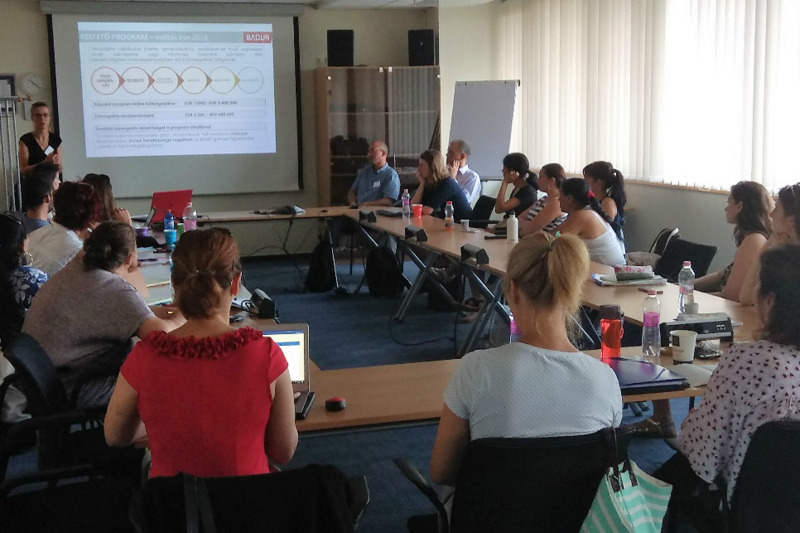 Through the professional support granted under Badur’s Springboard Programme 2017, the Association reviewed their running commercial activities in order to determine the most suitable business activity. 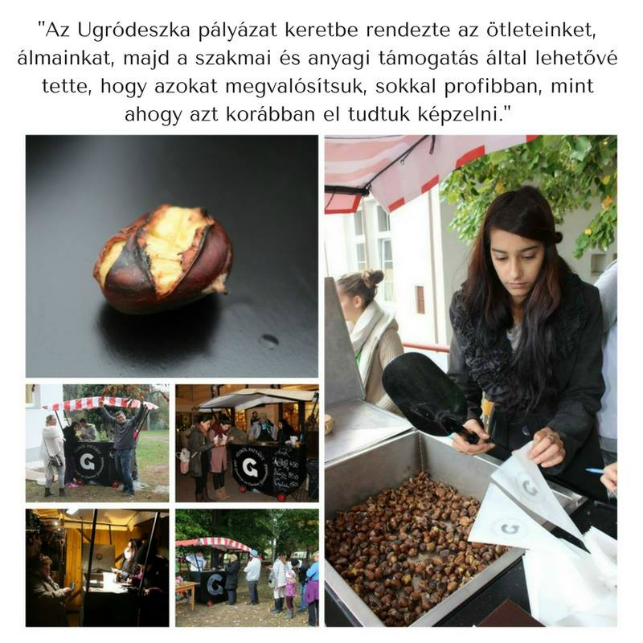 In cooperation with Adománytaxi (“Donation Taxi”), they have been organising monthly charity fairs with great success. The review concluded that the charity fairs can be scaled up to run a sustainable charity shop with regular opening hours. The pre-calculations showed that in addition to achieving break-even, the shop revenues could cover the salary costs of 1 full-time employee by the end of the first year. 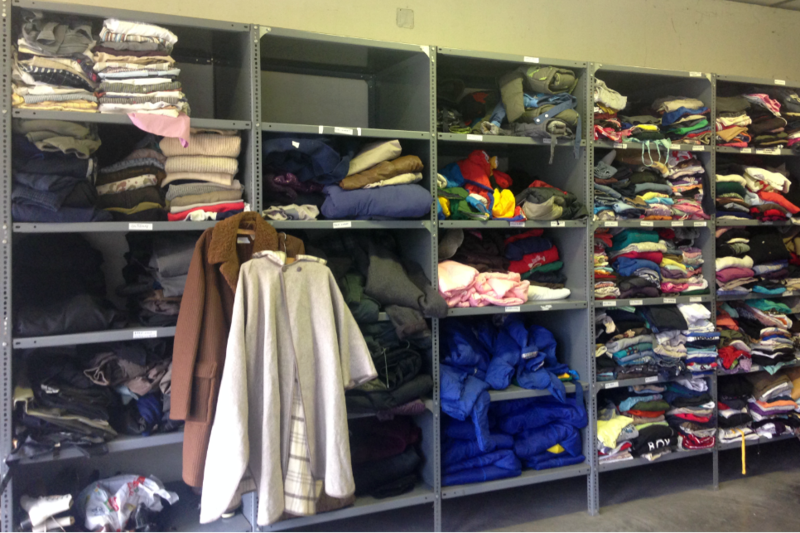 As the next step, a 3-6-month pilot started in October 2018 to assess whether the charity shop can reach this sustainable scale. Throughout this process, the Foundation is supporting the enterprise with professional advice and partial coverage of the running costs. 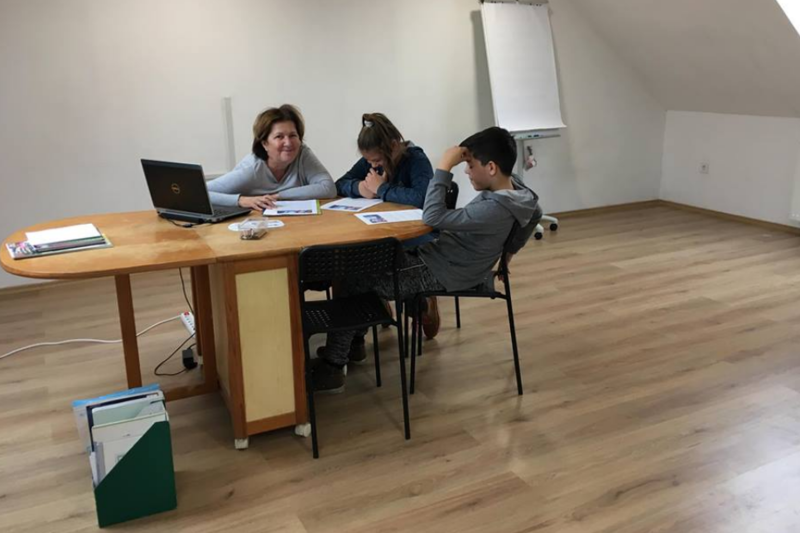 Since 2012, the Csepp Afternoon School of Csobánka run by Csodaműhely Association has provided vital support to disadvantaged primary and secondary school children, helping them to successfully pursue their studies and fulfil their abilities. 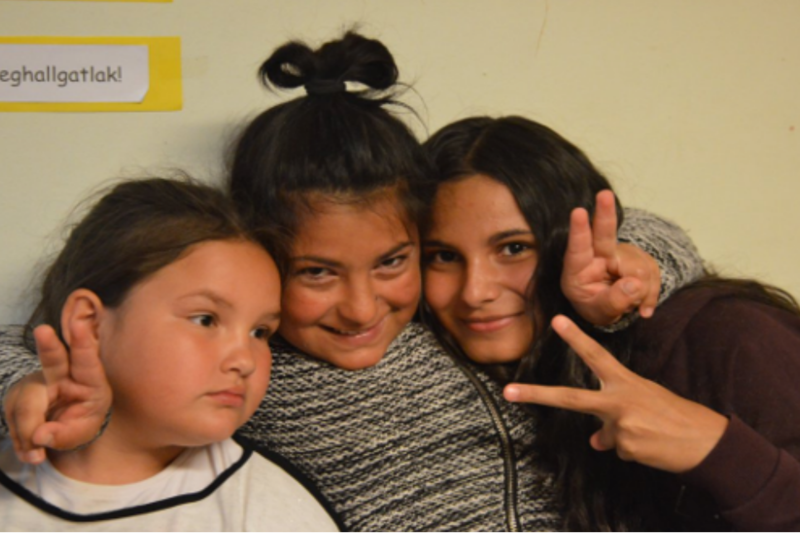 Volunteer mentors have provided individual tutoring, as well as engaging with the families and teachers of the children creating a much needed bridge between the two. Over the years the Association’s work has become increasingly complex and in 2016 they started an early development pedagogy-based programme for young mothers and their toddlers. In 2017, they launched a Civil Network to establish channels of communication and platforms of cooperation between different stakeholders including residents, teachers, social workers and municipality workers. With the Badur Foundation’s grant, they would like to start a new stream of activities that focus on the education, training and complex skills development of adults in order to foster their labour market integration. The level of education of the residents living in the disadvantaged segment of Csobánka is significantly lower than the national average, and - as a consequence of this fact - there are less favourable unemployment indicators in the settlement than the national average. Half of the residents only completed primary school education. Only one in three people has a regular job, and the rest either live on seasonal jobs or are long-term unemployed. National programmes providing free adult education exist but can only be accessed through a maze of bureaucracy. This is a significant challenge for people with low qualifications. Disadvantaged adults can find it difficult to navigate formal administration because some of them are functionally illiterate, so they can have trouble understanding and filling out registration forms. As candidates often lack basic skills, frequently they cannot even solve aptitude tests, so they are not accepted to state-funded vocational trainings. Obtaining the right qualification is the first, but not last step. 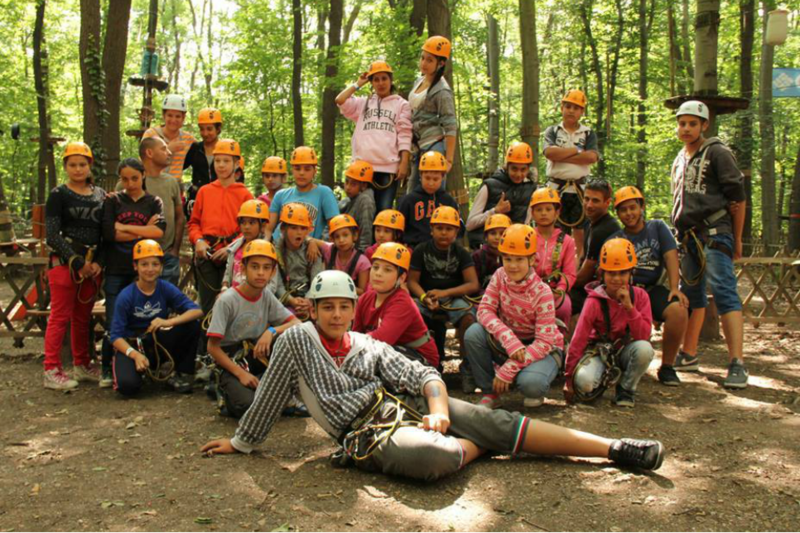 The development of personal and social skills is also prerequisite for successful integration. Better communication, improved conflict resolution skills and healthy self-esteem levels are all needed for people to attain and keep the job they wish. Crucially, an inclusive working environment that is open and conducive to integrating disadvantaged individuals is also needed to ensure success in the long run. The adult education programme in Csobánka thus intends to provide a complex solution to a complex set of problems by cooperating with existing state programmes, providing additional mentoring, organising targeted skills development training and having a proactive approach to finding potential employers. During the pilot year, the Association intends to provide education and training opportunities for a minimum of twenty people and aims to successfully place about two thirds of them on the labour market. The team is committed to learn from the experience of the pilot programme and in parallel, fundraise for its continuation to ensure that more people can join and obtain valuable qualifications in the coming years. 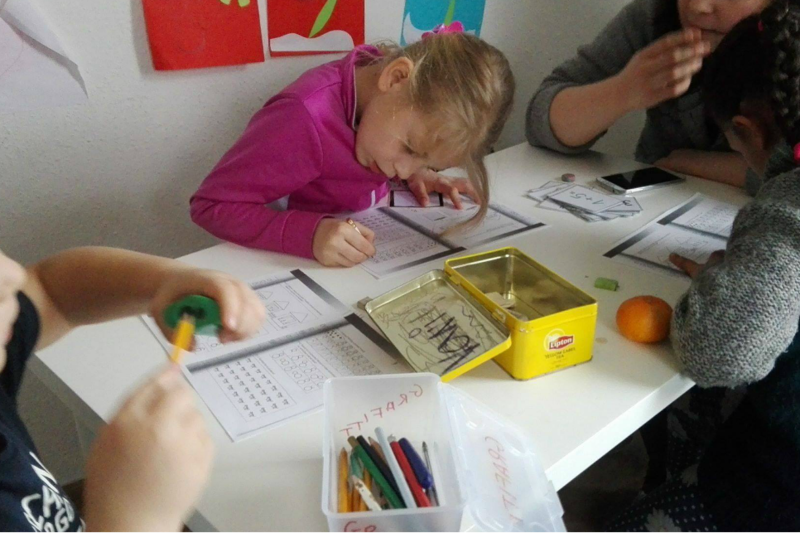 Since 2013, Mahájána Foundation has offered vital educational support to children coming from vulnerable families in Csörög. 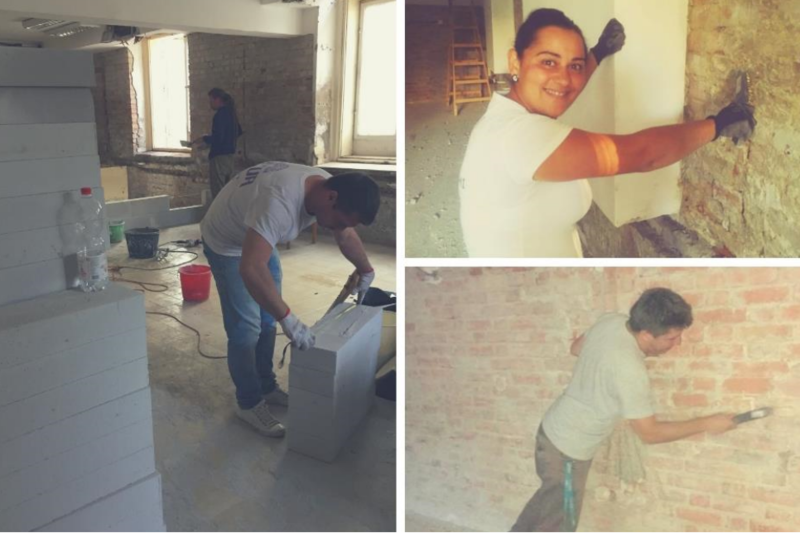 In 2015, Badur Foundation awarded Mahájána with an infrastructural grant that was used to acquire their own building. 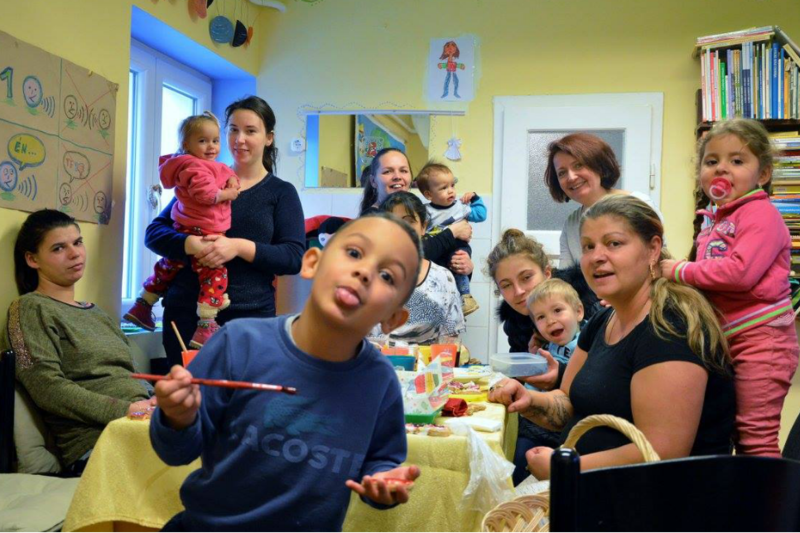 This created a stable base for Mahájána to further develop their activities for children and families. The new building quickly became a cherished home to over 30 children who regularly visited Mahájána’s educational sessions on Saturdays. 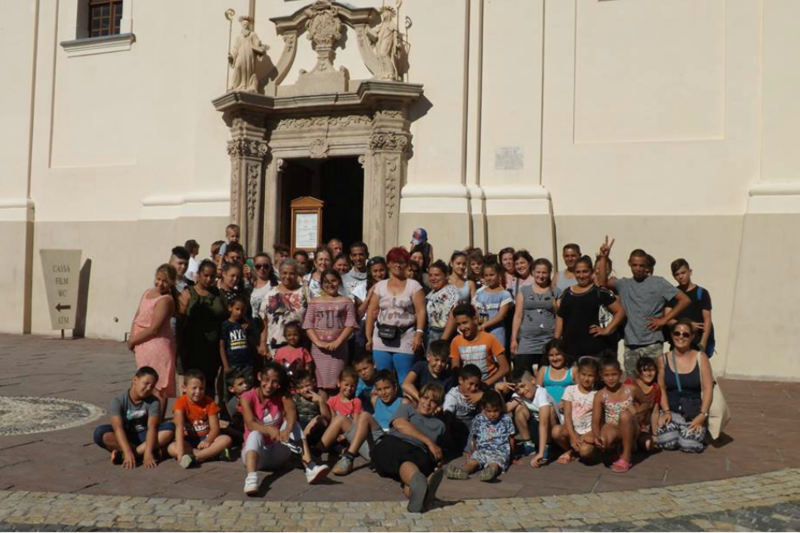 In parallel, Mahájána organised additional mentoring sessions for the children in partnership with the Piarist High School in Vác and continued its community building work with parents and carers via the Parents’ Club. 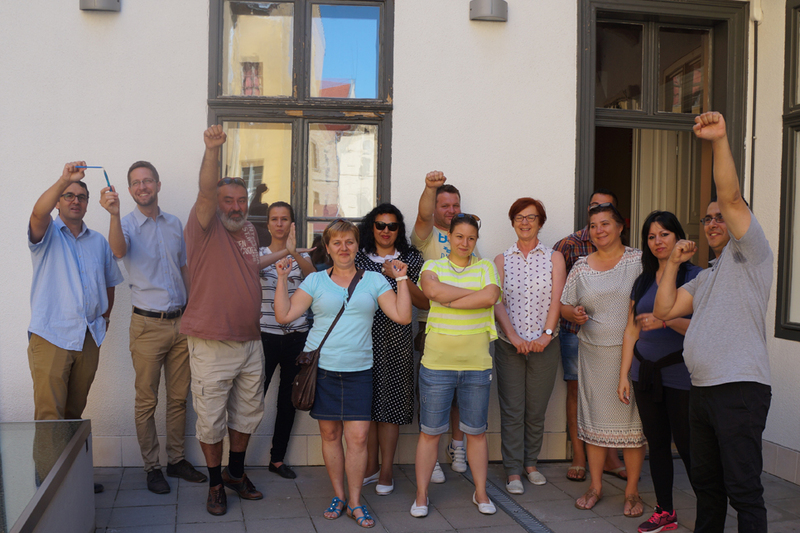 The intensity and impact of their educational activities could be further strengthened when Mahájána successfully bid for a state grant (VEKOP) in 2017. 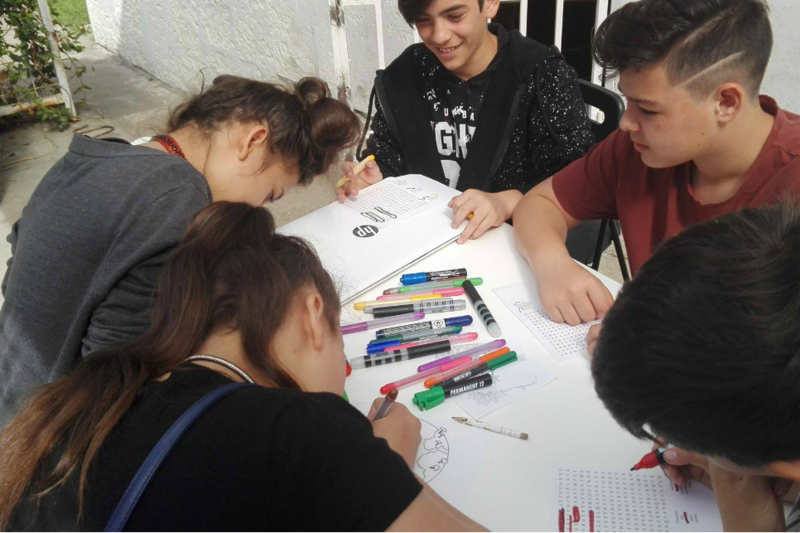 This grant enabled them to increase the number of educational sessions from one to four times a week, organise additional workshops such as dance classes and storytelling afternoons, and offer cultural trips for the families. 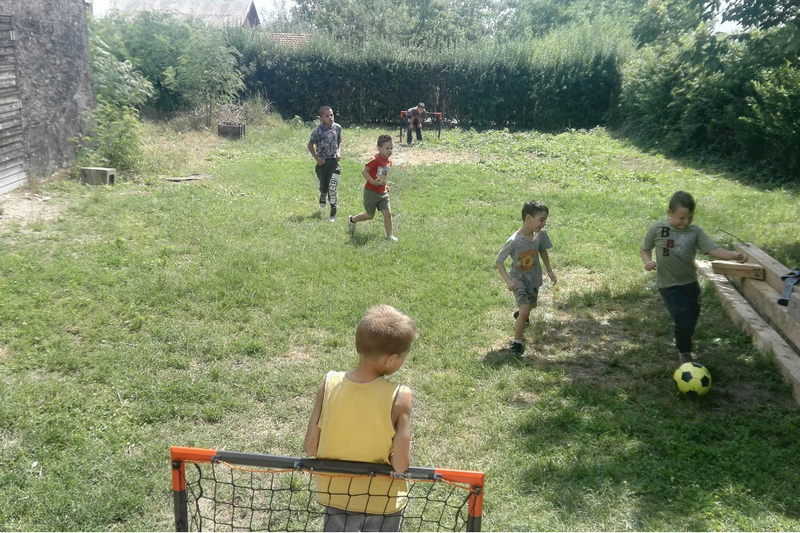 With the increased variety of activities, the number of children attending also grew steadily and reached a point, where the ground floor of the community centre could no longer accommodate the children. 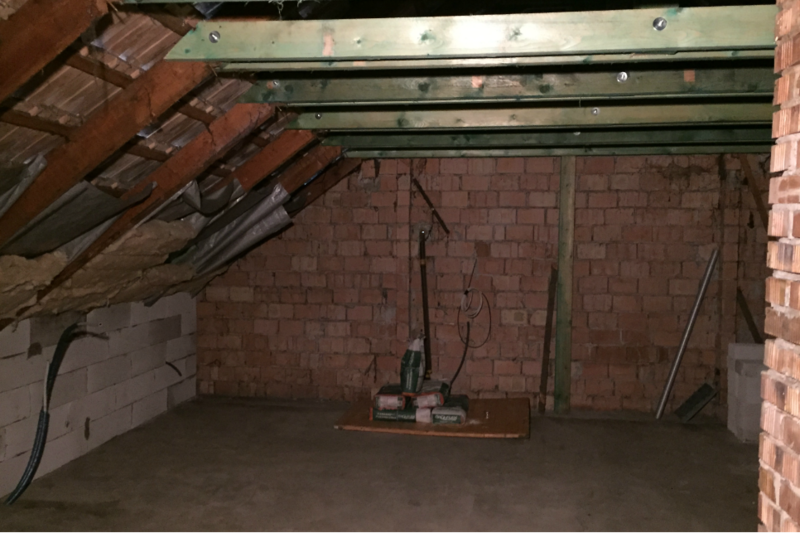 To meet this need, Badur Foundation awarded a new grant to Mahájána which they can use for the refurbishment of the community centre attic. 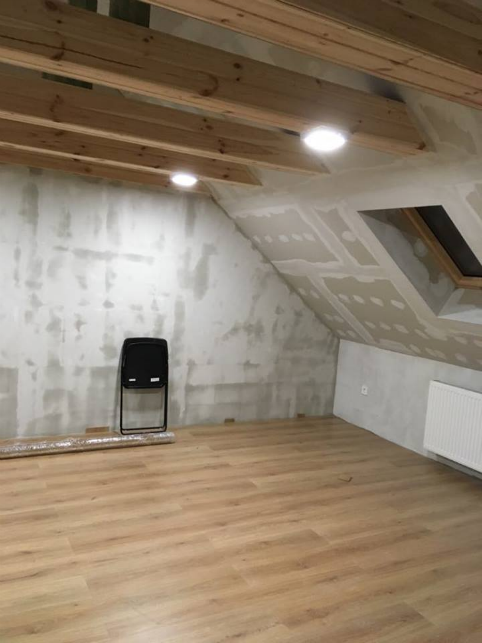 The works were completed and the attic was inaugurated in December 2018. With this development, Mahájána is able to serve its students with increased comfort and efficiency, hold community events accommodating bigger groups, and last, but not least the infrastructural development also increased the energy efficiency of the building by improving its insulation. The Act Together for Pere Social Cooperative was founded in 2014 in order to tackle societal problems affecting the local community. 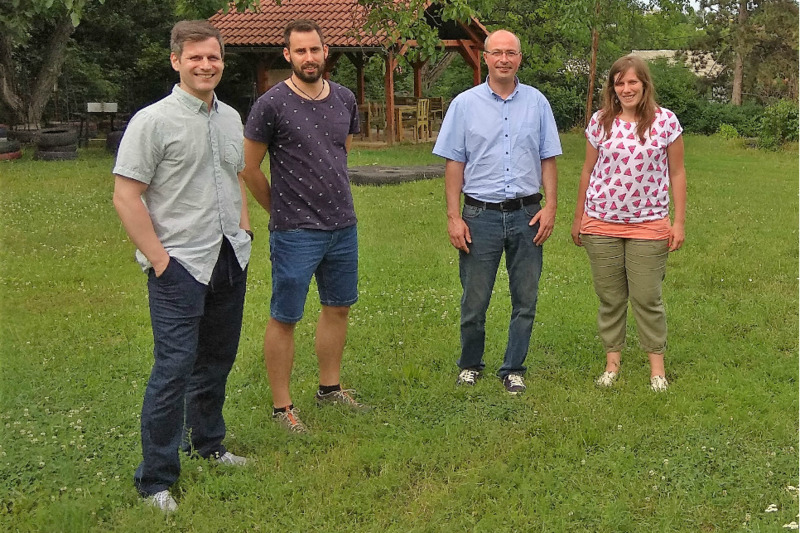 The cooperative’s principal place of business is in Pere, a small village in Borsod-Abaúj-Zemplén county, one of the more neglected areas in Hungary. The settlement has 365 inhabitants, with approximately one third of them belonging to the Roma minority. Pere’s most critical issue is the high unemployment rate. Since roughly 95% of the active population work as public employees outside of the primary labour market and earning very little money, the majority of the population lives in deep poverty. The low level of income leads to several further problems, such as limited access to health care, low mobility, poor education, a lack of vocational training and experience, and a lack of local services. 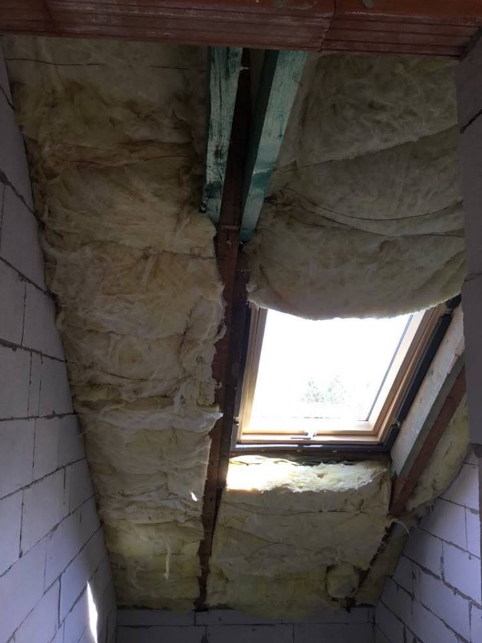 Housing conditions are rather poor: multigenerational co-habitation and deterioration of buildings is common, and in some homes there is a lack of proper heating, water supplies, sewage disposal or even electricity. 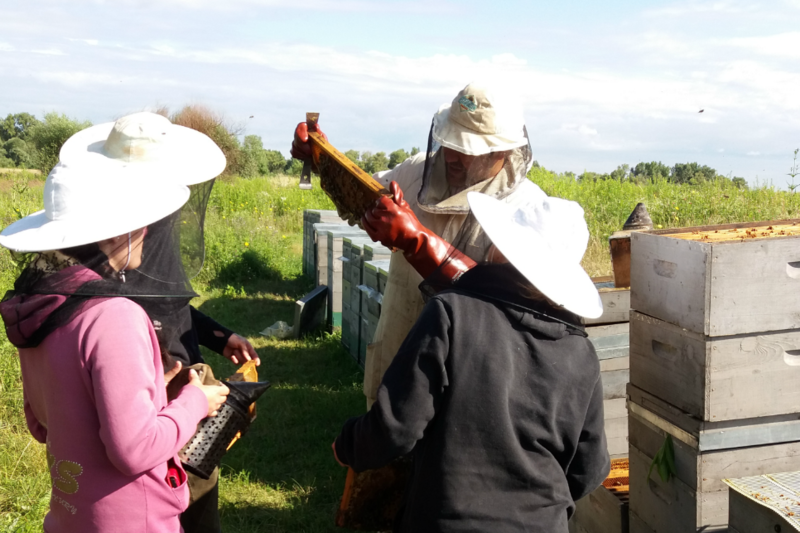 In 2017, the members of the cooperative developed a social enterprise idea to establish a community apiary in order to provide independent and sustainable solutions to unemployment, social exclusion and other related social issues in the village. 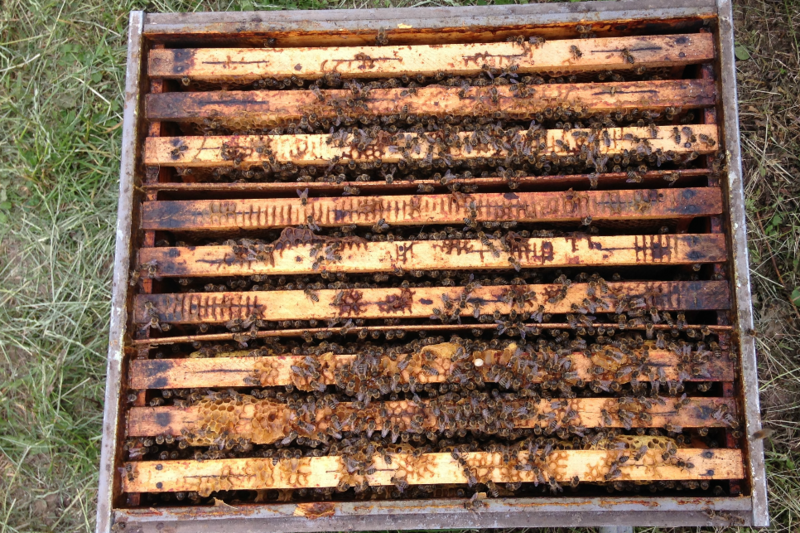 It was planned that the bee colonies would be hosted by and taken care of by individuals participating in the programme (cooperative members or other participants), while the property rights of the bee colonies, the equipment and machinery, would continue to belong to the cooperative. The extracted honey was supposed to be sold by the cooperative, and after deducting the cooperative’s commissions, the profit would have been be distributed among the participants and their families as additional income. To test the business idea, a pilot project was developed in consultation with and supported by Badur Foundation. The pilot began in July 2018 and was planned to run up to November 2019. 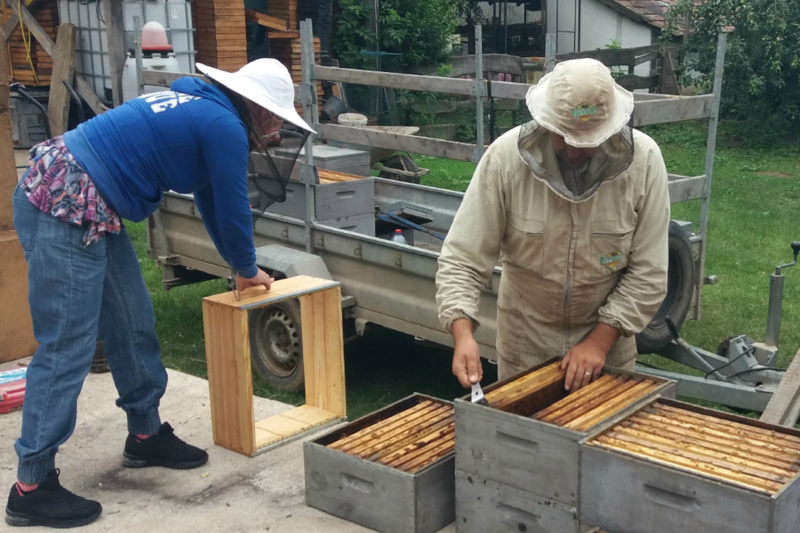 Included in the framework of the pilot was the purchase of the necessary equipment to establish and operate the first apiary of six bee colonies. 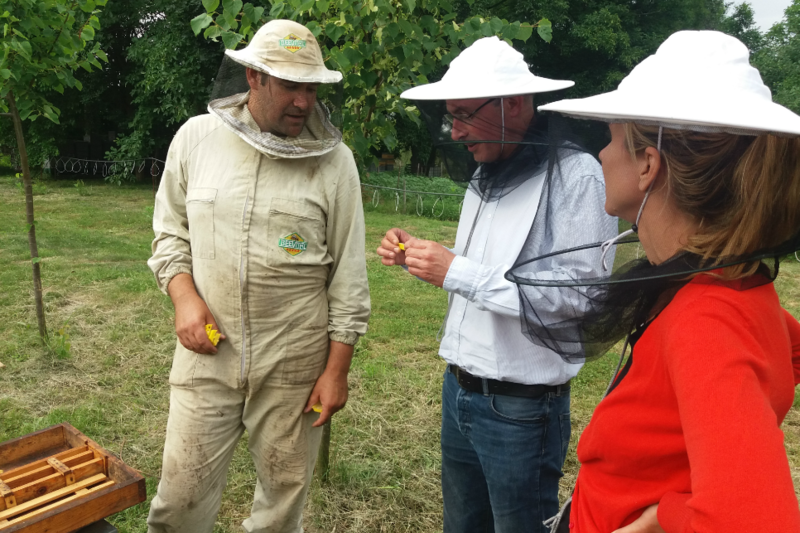 In the first phase of the pilot, three individuals began to participate in a supervised training programme and were mentored by a beekeeping expert, Mr. Gergely Molnár (www.mezesgergo.hu). Unfortunately, the pilot has come to a sudden halt as two members of the group dropped out due to health reasons. The cooperative strived to recruit new team members from the local community through different channels, but their efforts remained unfruitful. 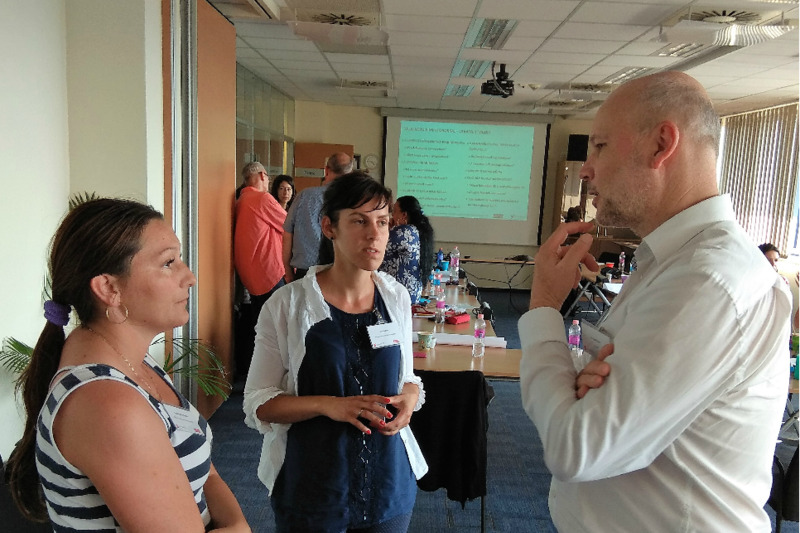 In consultation with the Foundation, it was decided to put an end to the pilot programme until the social embeddedness of the project is strengthened. The former mining settlement, Szúcs-Bagólyuk, is located in Northern Hungary. 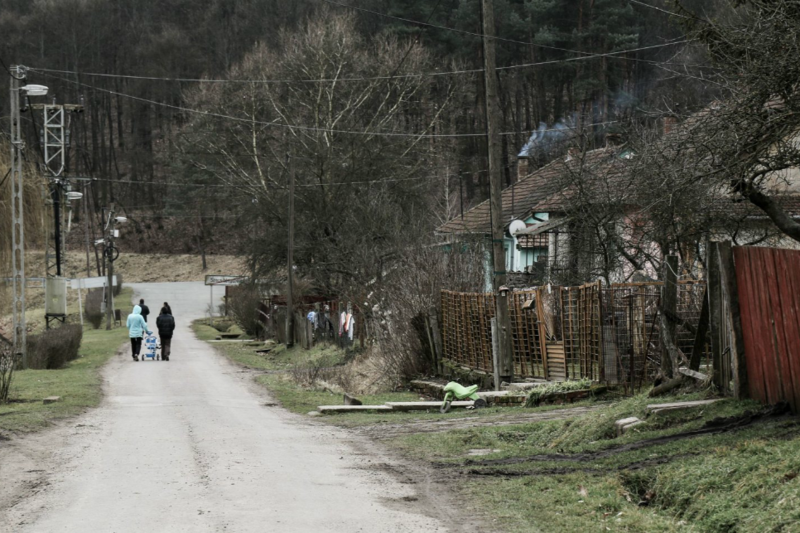 It is a highly isolated settlement: its Roma habitants are not only excluded from Hungarian society in general, but even from the daily life of the neighbouring Szúcs. 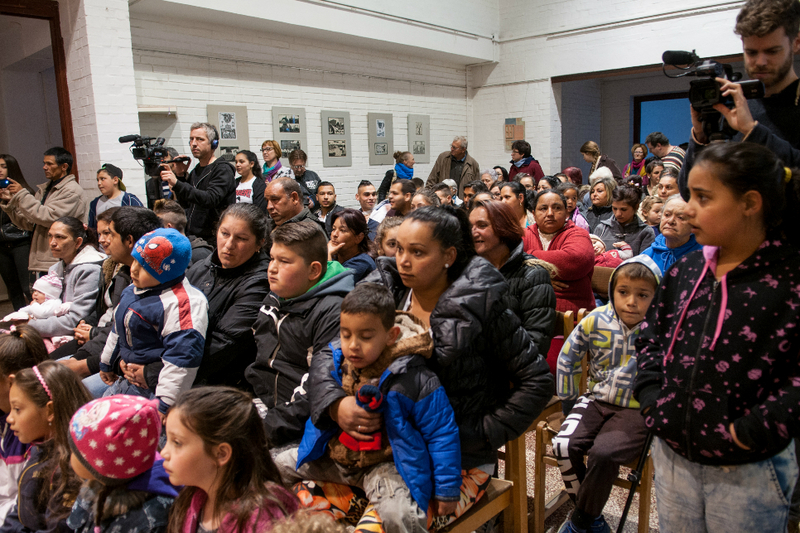 In 2016, Autonomia Foundation and Katona József Theatre launched a joint project to break the vicious cycle of segregation. In the beginning they faced a complex set of problems as the community was devastated by high unemployment rate, health problems, poor housing conditions, apathy and hopelessness. Autonomia Foundation and Katona Jozsef Theatre’s project offered a multifaceted response to the multifaceted issue. It combined different activities to engage the whole community such as drama education for children, financial literacy education for mothers and community events for all inhabitants. As the core of the community grew stonger, local inhabitants initiated a social enterprise to tackle one of the most important local problems, unemployment. 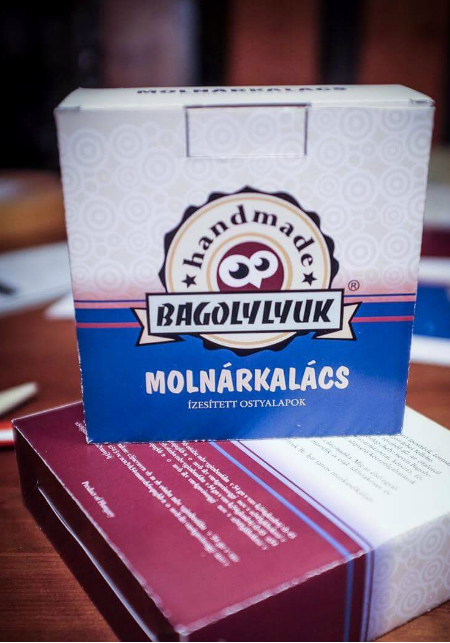 Four women, together with Autonomia’s staff, were involved in the initial planning and decided to set up a enterprise which would produce a traditional local snack- a thin sweet wafer called ‘Molnárkalács’. Naturally, in the planning stages the unsolved questions and associated risks of such an endeavour became apparent. As such, Badur Foundation together with Erste Foundation supported a small-scale pilot in order to test the wafer-making technology, develop new recipes and validate the market for the product. 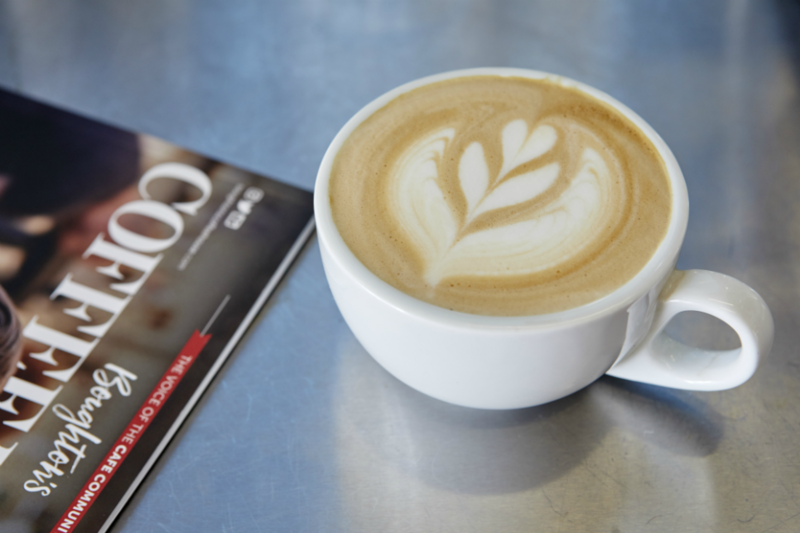 During the six months of the pilot, many open questions could be resolved: the production site was renovated and equipped; a local team was formed and the recipe was finalised; and two tasting sessions were arranged in Budapest in order to gather feedback from potential customers. The initial responses are rather positive, and the team is optimistic that the market demand will be sustained ensuring the long-term viability of the business. If successful, the enterprise will generat supplementary income for between four and six local women. In addition, the social enterprise will set an example - that with initial support, it is possible to operate an economically sustainable entrepreneurial activity offering a positive identity to a disadvantaged and stigmatized settlement and community. The Long live Regina! 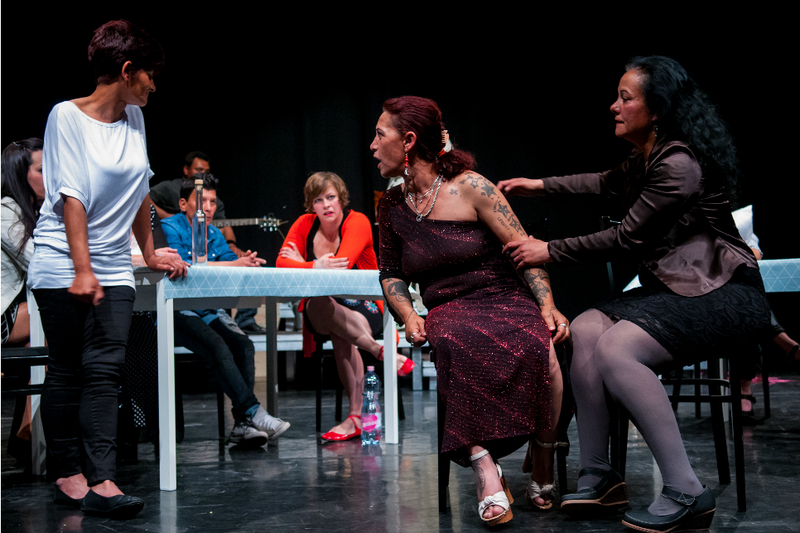 performance vividly and dramatically articulates Roma mothers’ struggles to raise their children in an apathetic, and often hostile institutional context. 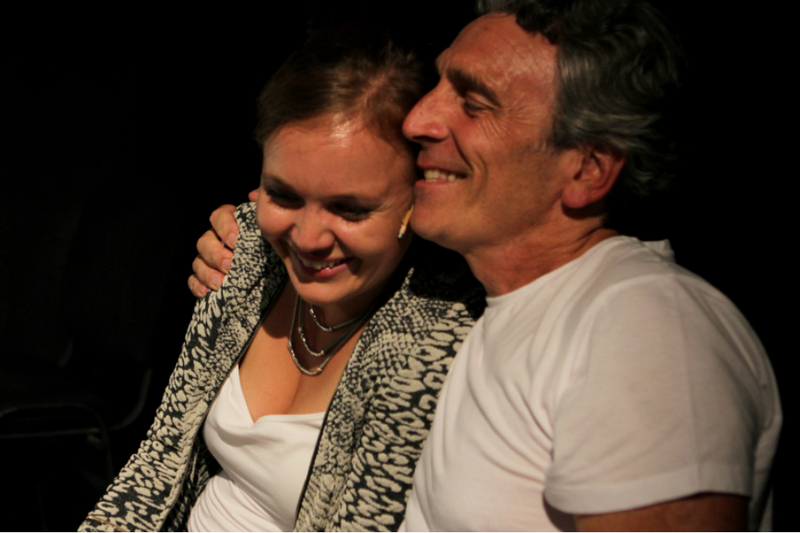 The Foundation supported Parforum’s initiative to create a complex intervention based on their documentary theatre performance. 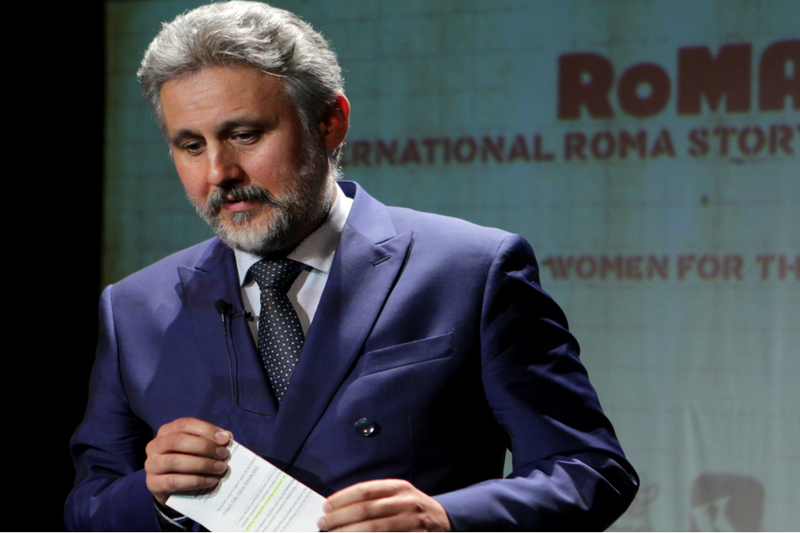 Involved was on one hand Roma women of rural communities, and on the other Budapest’s most highly renowned independent theatre’s audience - not only as spectators but also as participants of digital storytelling and socio-drama workshops. 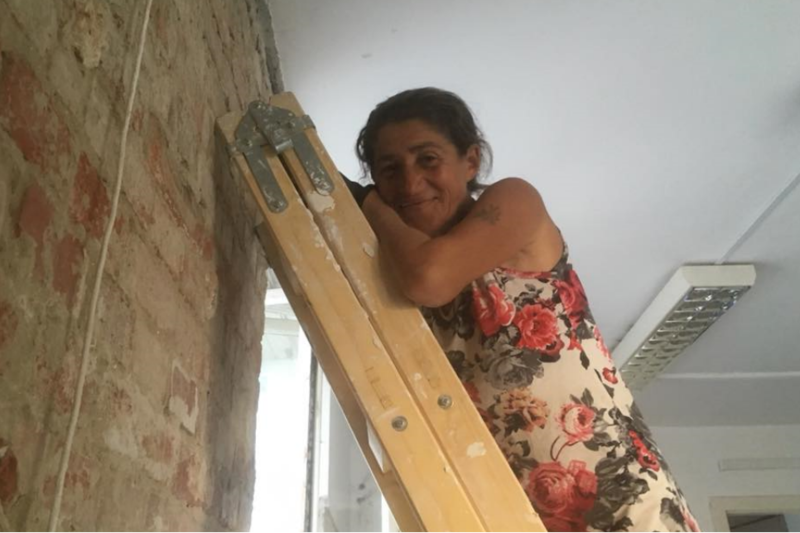 The aim of the project was to tackle Roma women’s vulnerability through reinforcing their identity and by making their struggles understood by broader society. Parforum specialises in art-based educational programmes, social interventions aimed at community development and participatory action research. 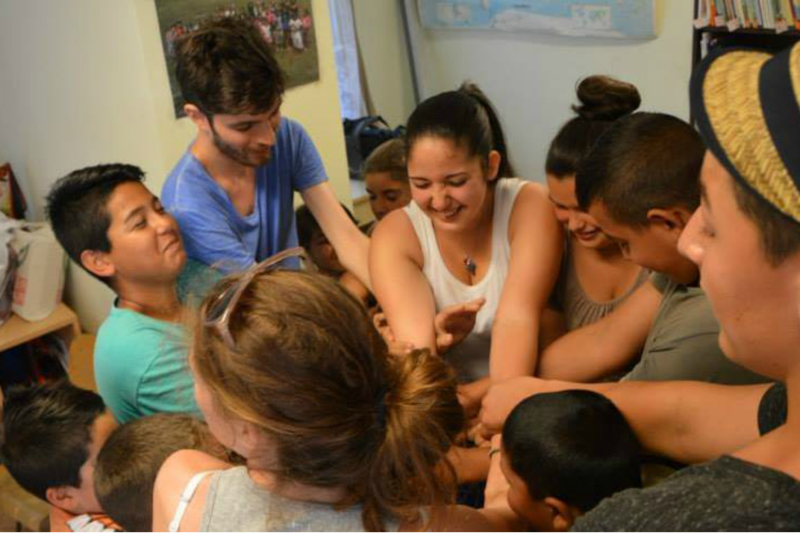 They focus on the empowerment of both young and adult Roma people and the sensitisation of the broader society. 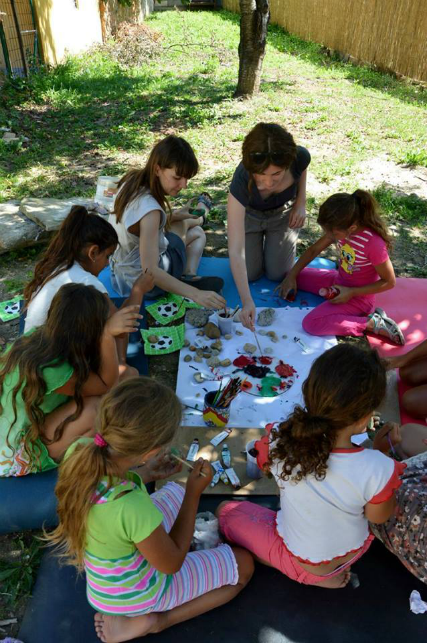 Parforum always carries out its projects in cooperation with organisations and individuals specialising in art, art pedagogy or art therapy, and with locally embedded institutions such as schools and NGOs. Their work contributes to a more egalitarian, solidarity-based, inclusive society. Their project, ‘Regina’ is based on the theatre performance, Long live Regina! 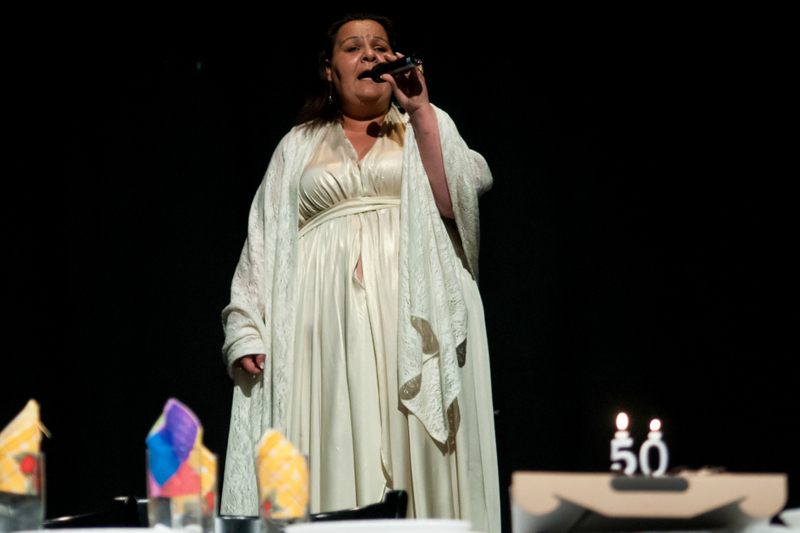 developed in 2016-17 in the framework of the Selftheatre/Borsod /HeartVoices programme. 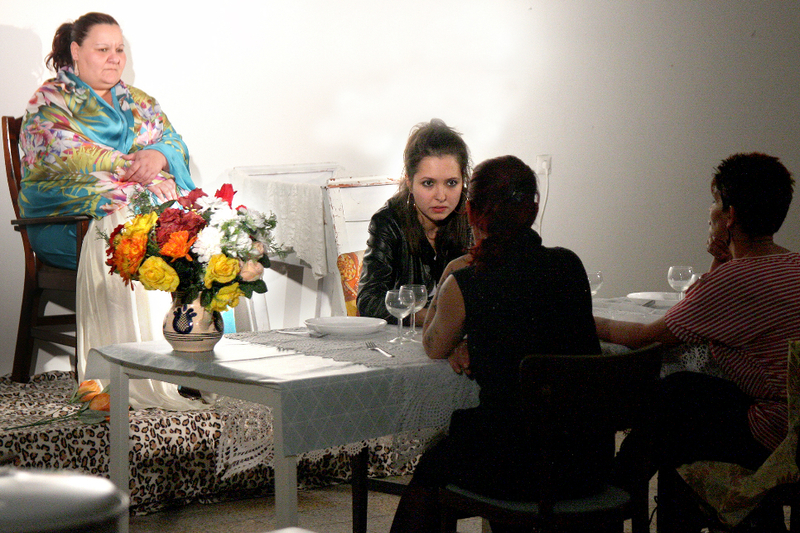 Eight Roma women from Szomolya are the cast of the hour-long auto-ethnographic theatre performance, which is based on their own life stories. 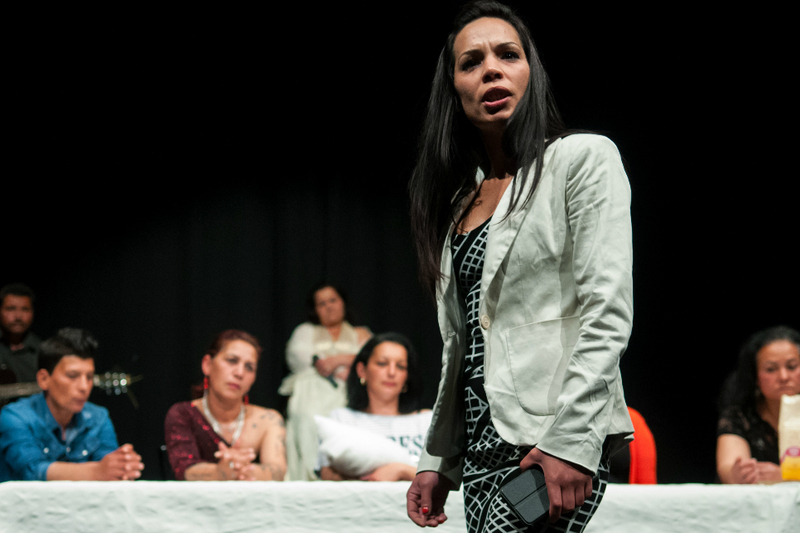 The play deals with issues of motherhood and the struggles Roma women face in raising their children in an apathetic, often hostile society and institutional environment. Showcasing this production corresponded with the Foundation’s aim to influence society’s sensitivity towards, and its understanding of, the social, economic and cultural issues facing isolated communities. As such, the Foundation initially supported Parforum to present their piece at DunaPart Festival in front of a prestigious international audience. 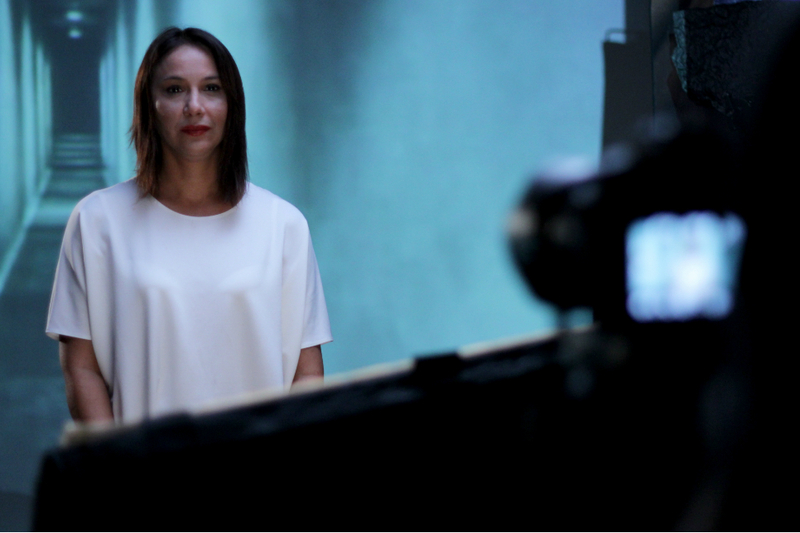 From there, the Foundation pledged support to showcase the performance two more times in Trafo, a contemporary art venue in Budapest. 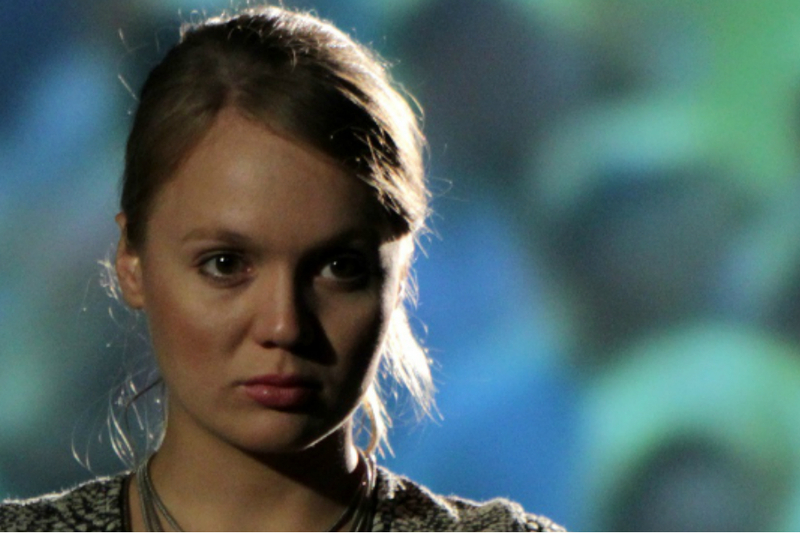 In addition to these performances targeting middle class audiences, the play was brought to three rather isolated communities - Hevesaranyos, Lucfalva and Nyíregyháza. Roma communities in these three localities appreciated that women from a similar background can create a theatre performance and they saw ’their own life stories’ retold on the stage. The performance and the guided discussion helped the audience understand that their ’individual struggles’ are in effect collectively shared, public issues. The performances were complemented by a digital storytelling workshop, in which local women reflected on their own personal stories in more detail. These digital stories will be available online and could be used as an additional tool for raising awareness. 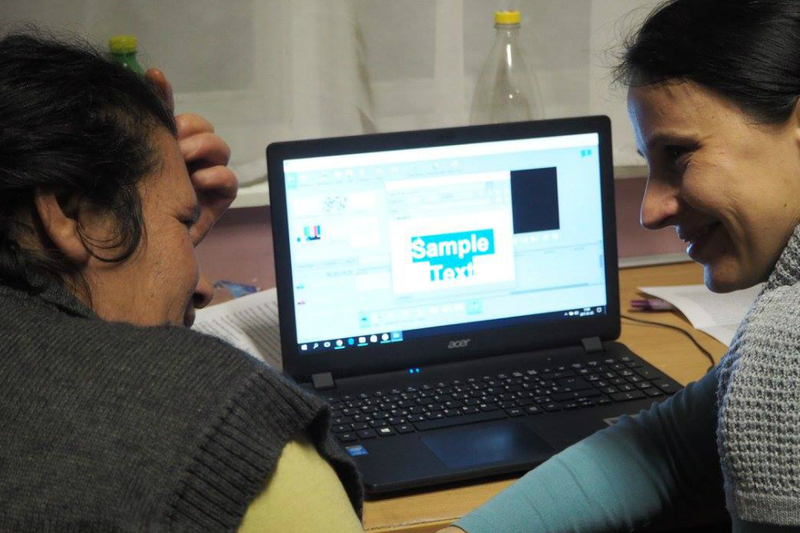 In addition, the local coordinator in each village was trained to use the digital storytelling methodology, which will also contribute to the expansion of the educational repertoire of these local organisations. 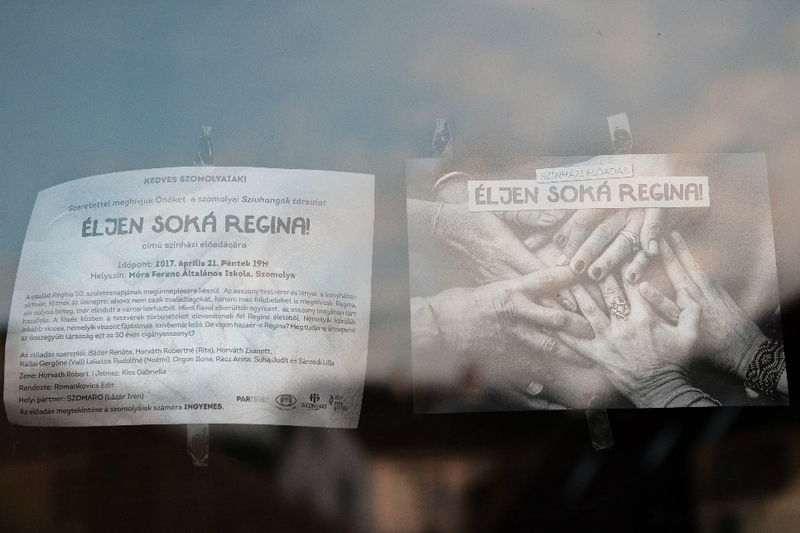 Overall, “Regina – the documentary theatre based social intervention” reacts to the extreme vulnerability of Roma women in deprived, rural communities. The isolation of these women is the most important cause and at the same time is the most important result of this vulnerability. This isolation exists and should be treated on an interpersonal, a community and a social level. The project aimed to overcome this isolation on different levels by empowering women’s personal growth reinforcing local groups, creating links between the villages, and by reducing their distance from ’mainstream society’ and privileged social groups. In early 2018, Badur Foundation launched a new and innovative Programme to support organisations and informal teams working in impoverished communities to allow them to create viable and sustainable social enterprise ideas. The HATCHERY programme offered support at the very early stages of business idea generation and validation through professional workshops and individual mentoring. The programme was carried out in cooperation with SIMPACT. The Call for Application was launched in March 2018 and close to 20 applications were received. After thorough assessment of the applications, Badur selected five organisations and commissioned SIMPACT to provide five-months of training and tailored mentoring to further develop the social enterprise ideas. Four workshops were held to help teams structure and evaluate their business idea using the core elements of the Canvas Business Model. 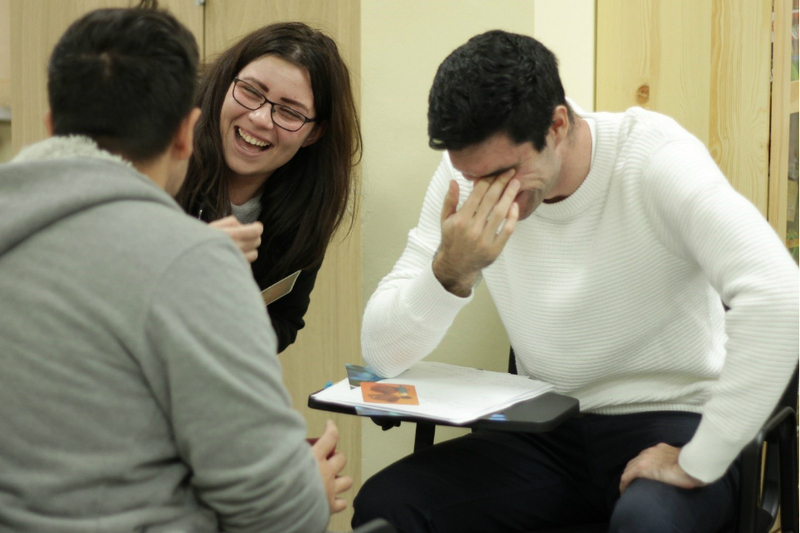 In addition, each team received vital individual support by pro bono mentors. The final presentation was held on November 8th, when teams summarised their progress and pitched for further support. Based on the final pitches, the Trustees awarded tailored support to each organisation. „Acceptance Bakery” run by Monor Tabán Producer Social Cooperative produces home-made cakes from natural ingredients sold on local markets and via resellers such as local restaurants. 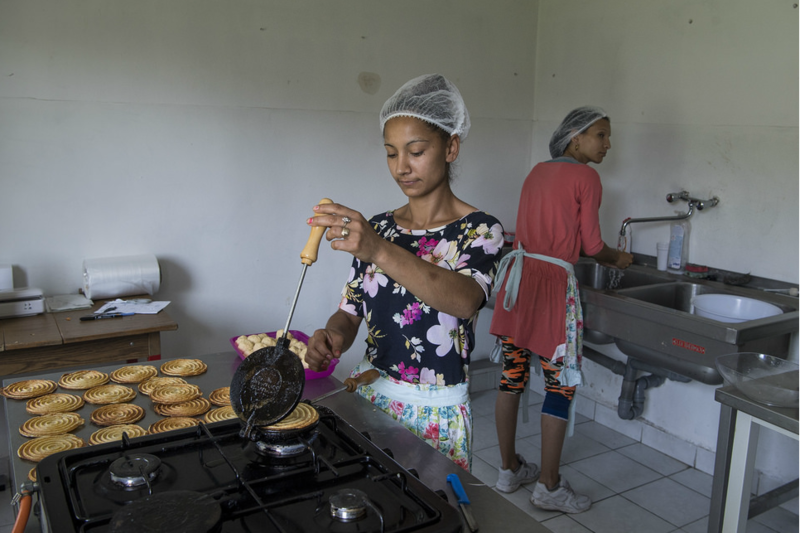 The Bakery currently employs three local women from the Monor Tabán settlement as public workers, but their ultimate goal is grow the business to a scale when the profits are sufficient to provide dignified wages to their employees. In order to support this growth, the bakery was awarded financial support to upgrade their equipment. In addition, the team will receive further professional support via a professional baker. The aim is to standardise their production, which is vital for ensuring quality control and a prerequisite for stable sales. With the power of humanity Foundation devised a pilot plan that focuses on generating extra income for their charitable activities by turning their after-school building into a community space. In this new facility, they hope to offer tailored entertainment for local families and team bulding activities for companies. The Trustees awarded financial support to cover the costs of the first animators’ training and further professional support to develop a business plan for the long term. Another participant in the programme, No Bad Kid also received further professional mentoring to detail their financial plan. The organisation currently supports disadvantaged kids with behavioural difficulties using a cutting-edge method of therapy. They intend to offer their professional services to middle class families and schools, and from the extra revenue they will finance their charitable projects. 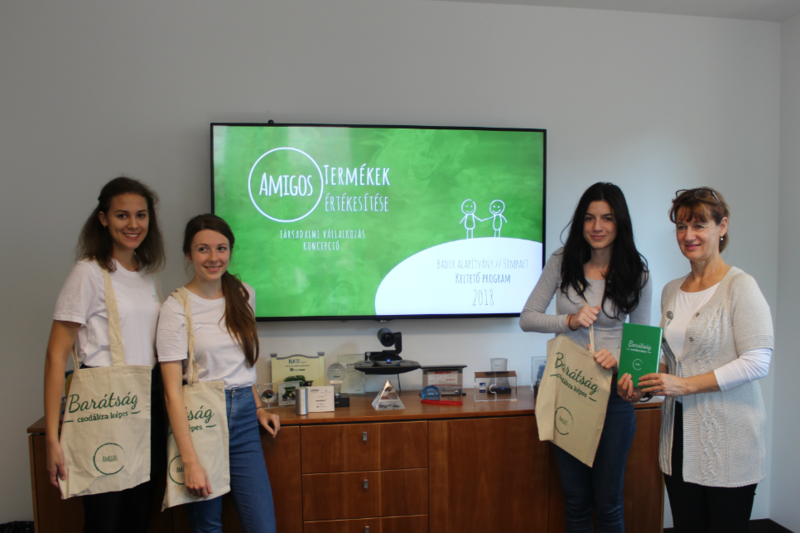 Amigos for children also aimed to find a way to generate additional income for the organisation. Through the Hatchery programme, they explored the possibility to design and sell branded products first among their immediate supporters and later among a wider customer base. The Foundation awarded legal and accounting consultancy to support this project. 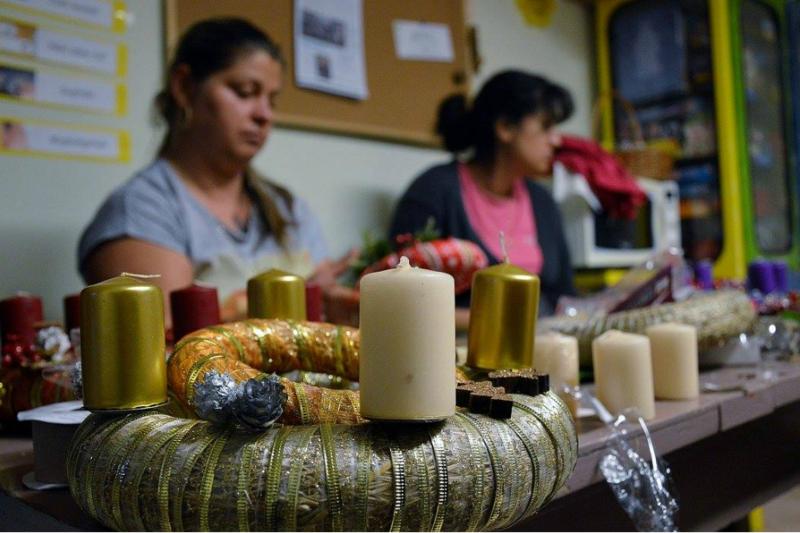 Last but not least, the National Association of Roma Women of the 21st Century received partial financial support so that they can open a community space in Nyíregyháza. This venue, on the one hand, would function as a place of intercultural encounters and on the other hand, it could provide much needed training and internship opportunities for disadvantaged youngsters. 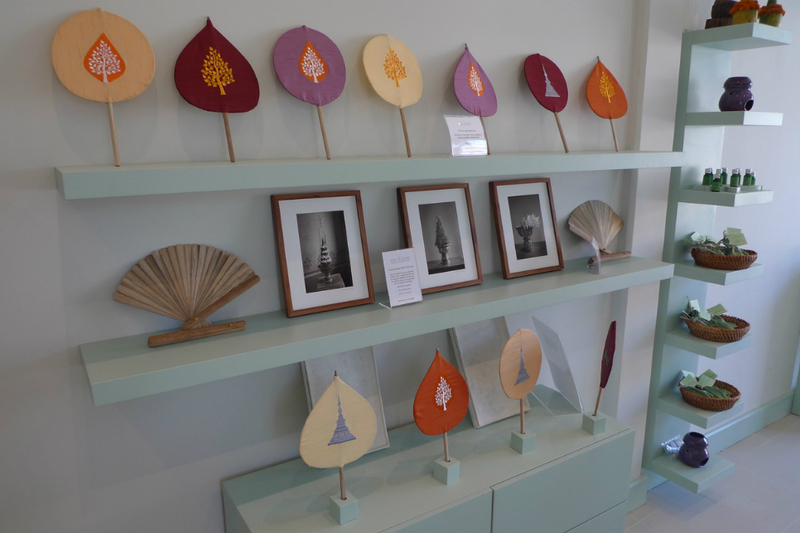 Recognising that employment and economic opportunity are central to improving the livelihood of local communities, the Buddhist Heritage Project has initiated a social enterprise in the form of a retail shop in the heart of Luang Prabang with the financial and strategic support of the Foundation. The shop’s social impact is complex and multi-fold. 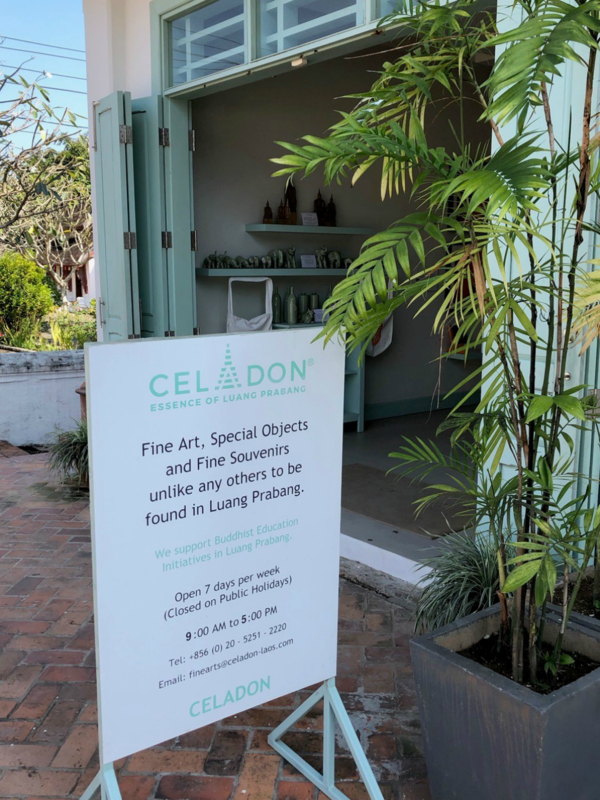 Firstly, specialising in quality art work and Buddhist objects it provides a vital outlet for local artists and artisans and as such improves their livelihood. 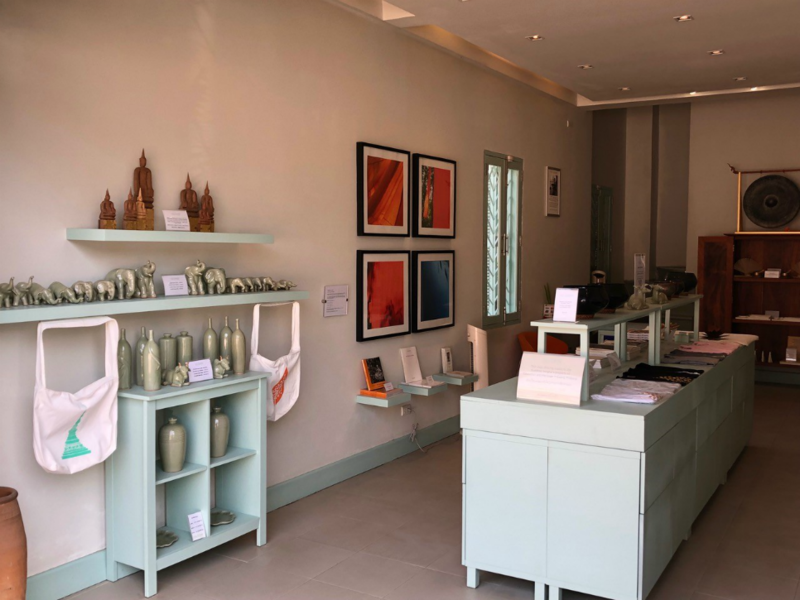 In a similar vein, the shop will ensure that the art work produced by - the soon to be opened - Vocational School of Arts will have an outlet for sales. Second, the shop represents much needed employment opportunity to several local youngsters. Last but not least, all profits generated will go to support the schools at the Buddhist Academy. 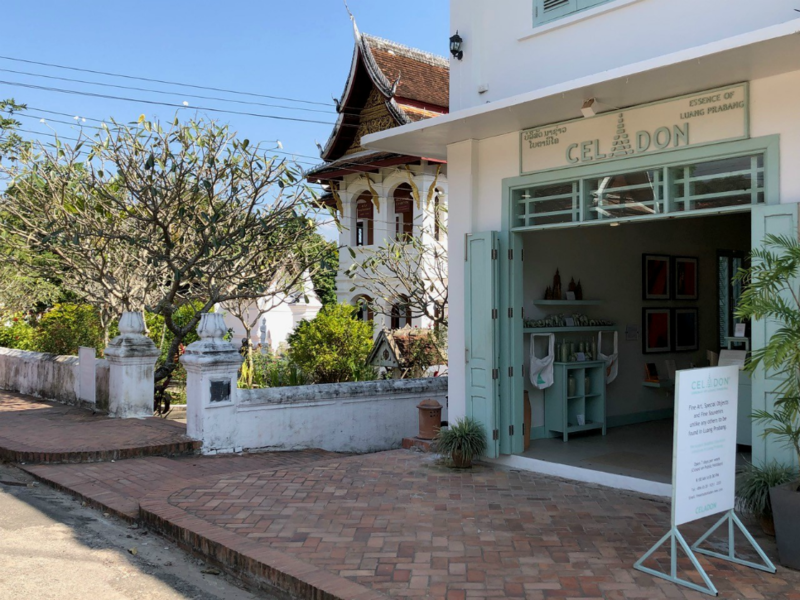 By naming the shop Celadon, the project pays homage to an art form that has been lost in Luang Prabang, that of the creation of high glazed ceramics. 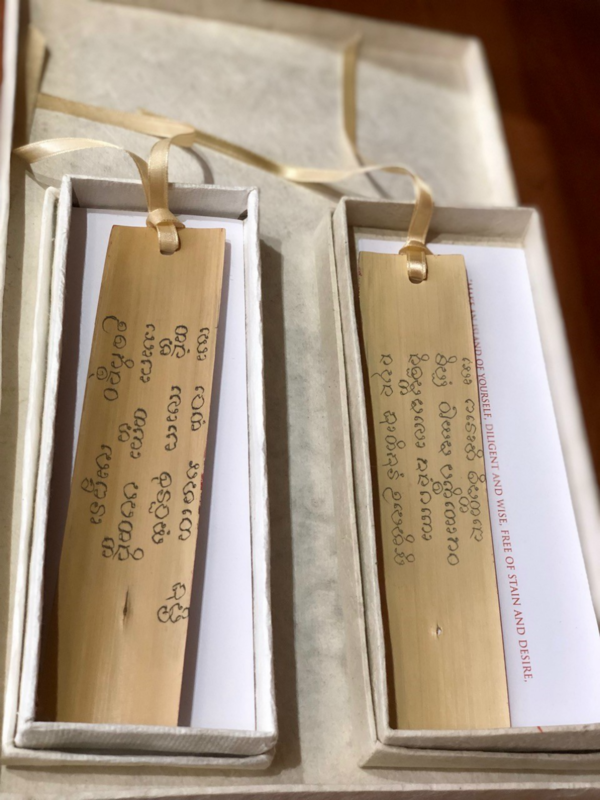 Hopefully the establishment of the Buddhist Vocational School of Arts will provide an opportunity to revive this ancient tradition among fine art and artisan skills. 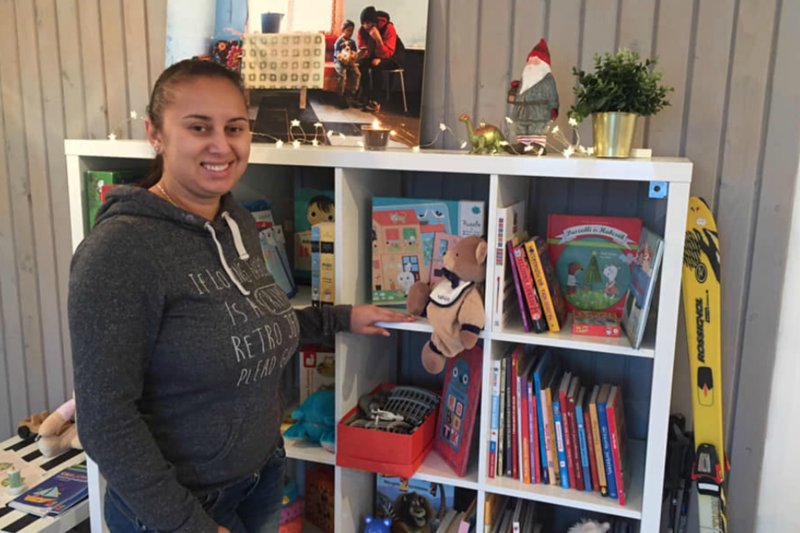 The shop was opened in January 2017, and its initial year of operation already proved to be a success both in terms of the social and financial impact. By sourcing the products sold, the shortage of artisan skills became even more apparent, which lends additional weight to the validity of the vision of creating the Vocational School of Arts. 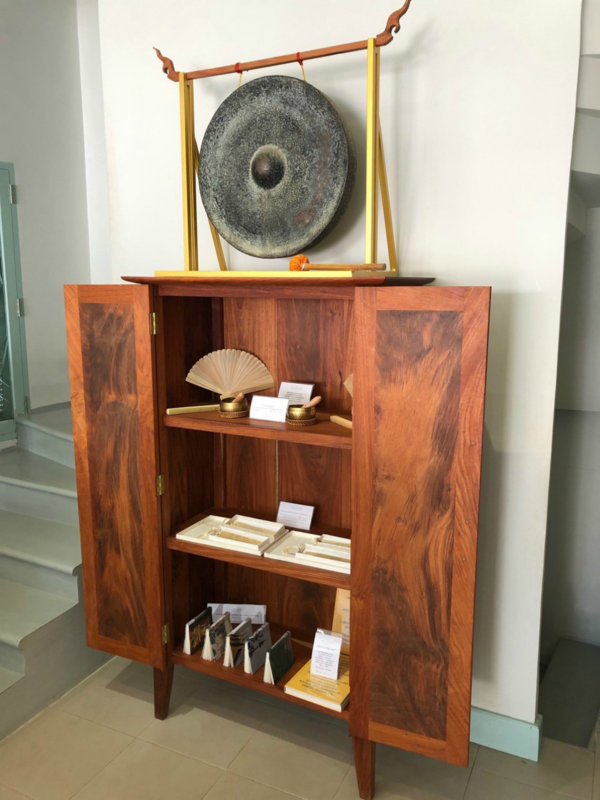 The Buddhist Heritage Project envisions the retail shop as the first step leading to an all-encompassing project, ultimately including a shop, studio and workshop spaces. Graduates from the Arts School will find employment and an outlet for their works and as the social enterprise grows so too will the economic benefit to students, former students, their families and the community at large. In January 2018, the Badur Foundation re-launched its Social Enterprise Competition to develop social enterprises that improve the employment chances and livelihood of people in deep poverty. The competition provided organisations working in highly disadvantaged communities with vital professional and financial support for starting a new social enterprise. The Call for Application was launched in January 2018 and close to twenty applications were received. After the thorough assessment of the applications, Badur selected five organisations and commissioned NESsT to provide 5-month training and one-to-one mentoring to elaborate their business plans. From April to August, the teams worked intensively to validate and develop their business model with the professional help of Badur and NESsT. The final pitch was made in September, when all teams presented their business plan to the Evaluation Committee. Based on the final pitches, the Board of Trustees selected Tempera Casting as the winner of the Springboard 2018 programme. Tempera Casting aims to capitalise on the booming movie industry in Hungary and the subsequent demand for unique and diverse faces. This could provide a great employment opportunity for people coming from a minority background. 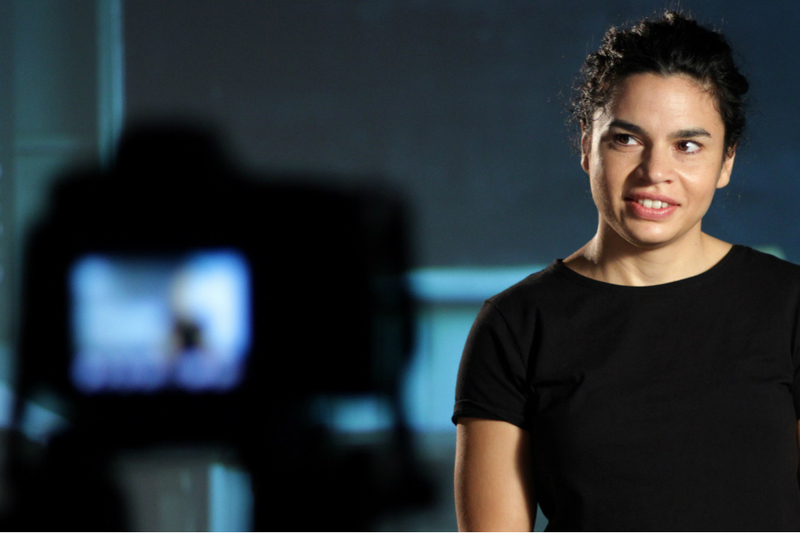 In close collaboration with grassroots organisations, Tempera Casting intends to recruit amateurs (especially Roma) to work as extras or actors in movies. This will provide an opportunity for hundreds of people to earn additional annual income. Being introduced to the movie industry may also create new prospects for many by linking them with other career opportunities in the world of film. 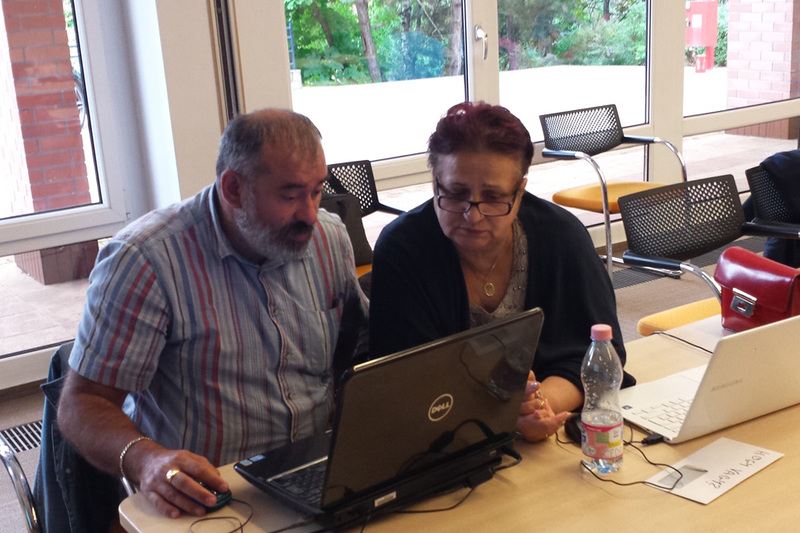 Additionally, the project’s impact on the representation of Roma could be significant. To support its establishment, the Foundation awarded a grant to cover the start-up costs and the initial operational loss. In addition, the Tempera Casting team receives professional mentoring in relation to strategic, financial and operational management. The Foundation also awarded further professional support to the Academy of Experiences. The Academy uses experiential learning to foster the complex skills development of marginalised youth. In recent years, there has been an increasing demand for their services by for-profit customers, who realised that experiential learning can be effectively used to develop skills among their employees. For the Academy of Experiences, these contracts have represented a new way to generate income. Within the framework of the Springboard programme, they wished to explore how to take their activities to the next level, intending to centralise their training and programmes in order to increase efficiency. Not only would this improve the overall sustainability of the organisation, but from the extra profit generated they could offer additional programmes to at-risk youth, their main target group. The Foundation awarded the Academy of Experiences with additional mentoring so that their business plan and financial model can be optimised. Last but not least, Badur awarded support to the Never Give Up Association. 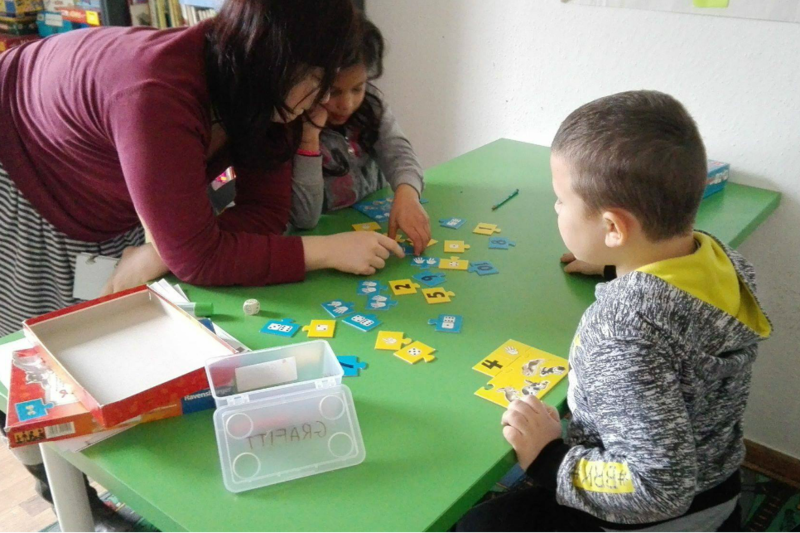 The Association currently runs three community centres in economically disadvantaged regions of Hungary. They have a holistic approach: they organise community events, offer educational and recreational activities to children and create job opportunities for adults. Through the Springboard programme, the Association developed a business plan for a Black Soldier Fly farm in cooperation with Bugfood Foundation. Black Soldier Fly larvae has been experimented with in several areas of the world to produce protein-rich animal feed. The Never Give Up Association would like to set up a farm that would use this innovative technology in order to create further employment opportunities in one of the communities they currently serve. 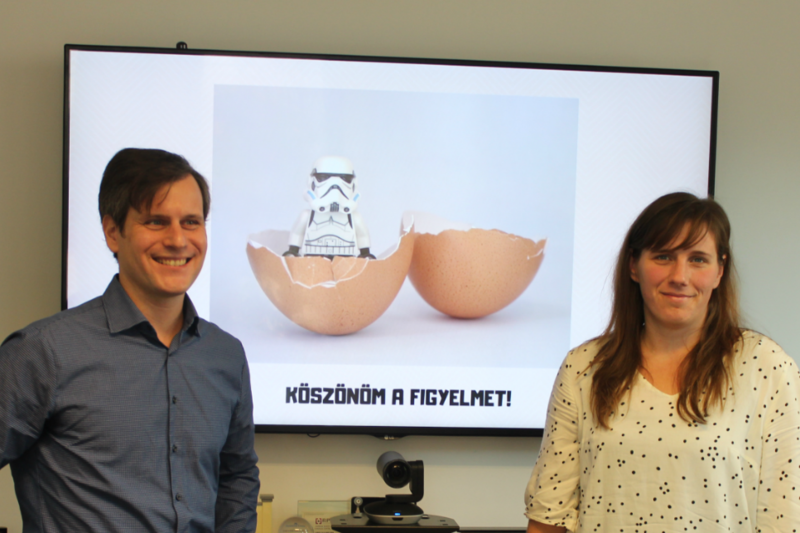 The Foundation awarded further professional mentoring to the Association to develop their business plan in order to gauge the demand for such innovative technology within the Hungarian market. 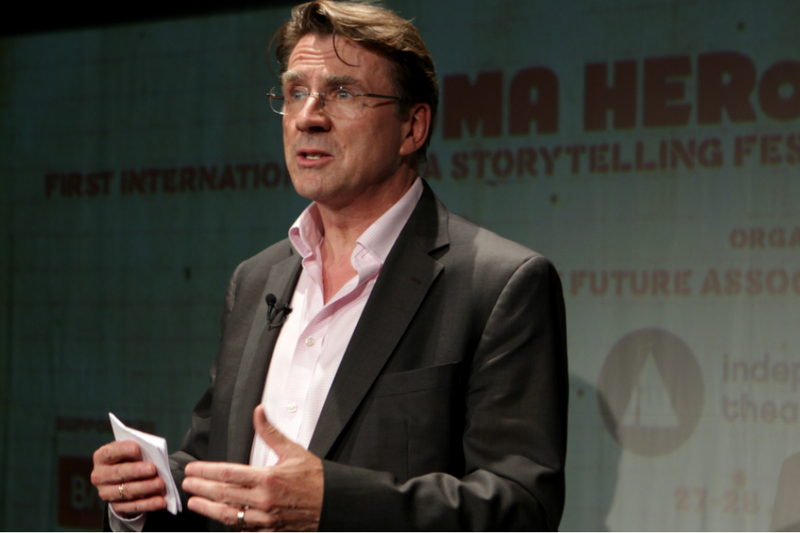 Drama and storytelling are extraordinary and influential tools for shaping attitudes and inspiring action. 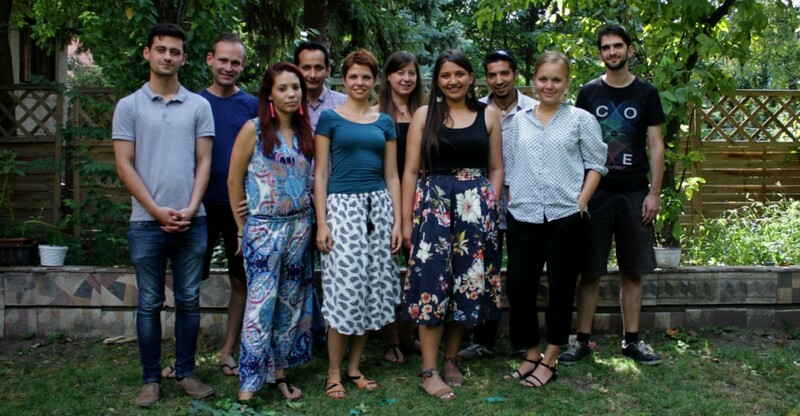 Badur Foundation is therefore proud to support the Independent Theatre company’s newest educational programme which is based on contemporary Roma plays - a debut concept in Hungary. 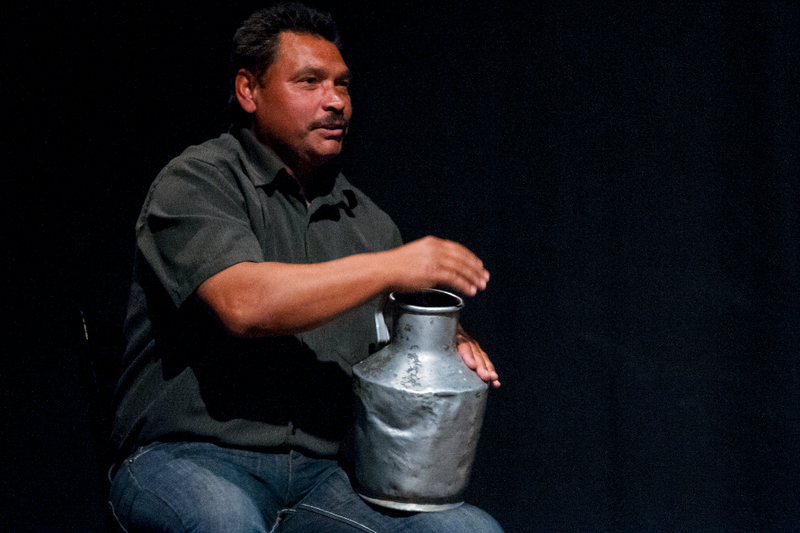 By profiling value-led, active and successful Roma protagonists, Independent Theatre hopes to both empower Roma communities and challenge the majority’s stereotypical image of the Roma community. 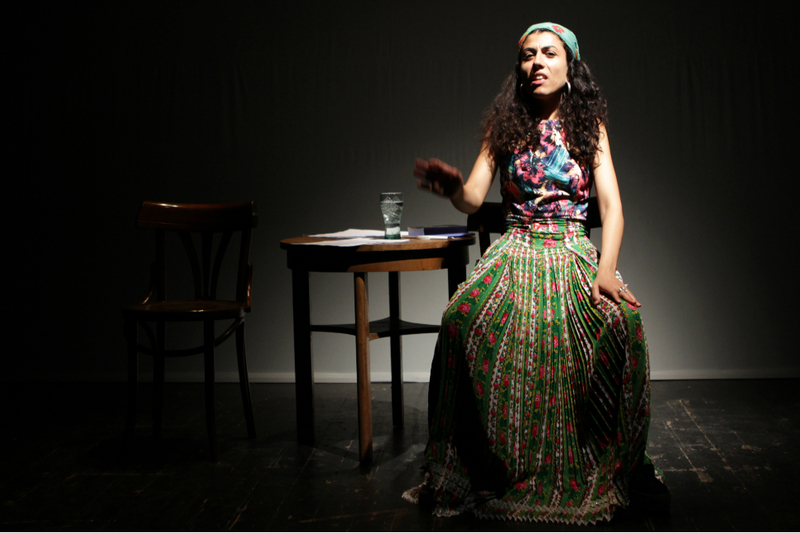 Contemporary Roma playwrights are not widely known, despite their artistic excellence and the topical messages they aim to spread. 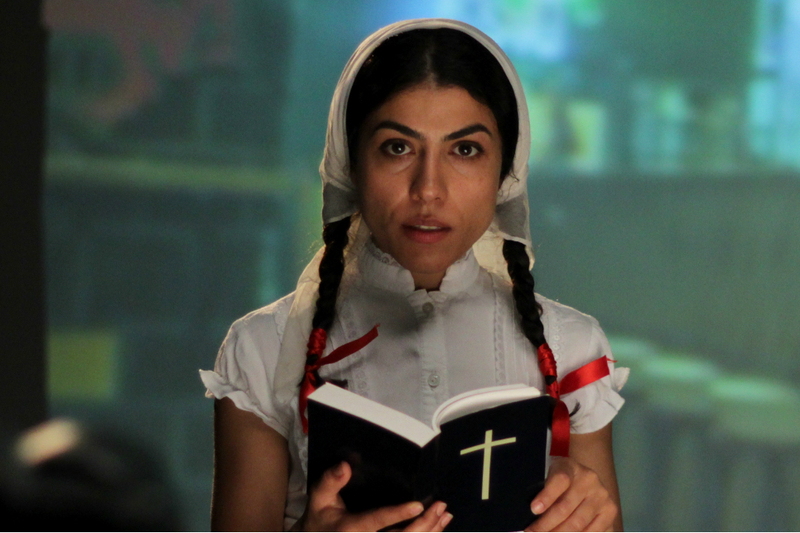 Independent Theatre’s newest educational programme is based on four modern Roma plays, each of which portrays profound human struggles.The work of Mihaela Dragan, Alina Serban, Richard O’Neill and Dijana Pavlovic feature strong Roma heroines who challenge the status quo. One rebels against family traditions; another excels in her studies despite personal hardship, the third rebels to achieve structural change and the fourth challenges the state authorities. 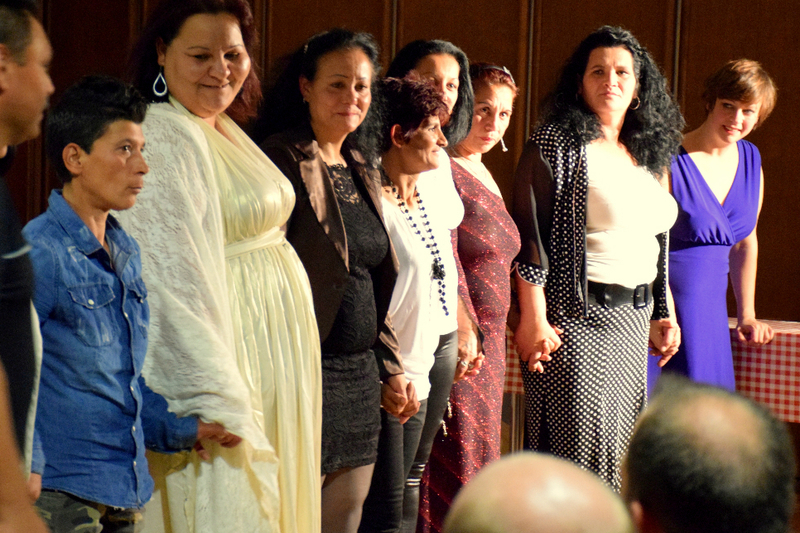 These are powerful life stories which serve as an example to all, particularly to young Roma. 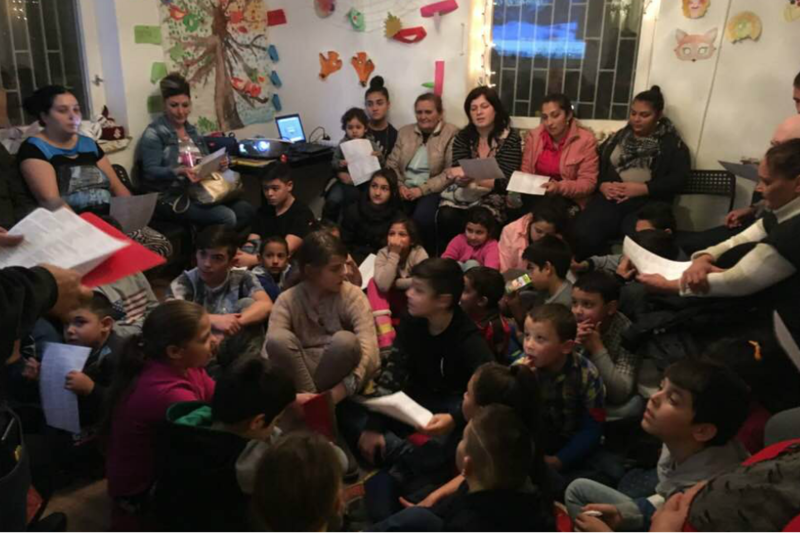 Through cooperative and engaging workshops, young Roma (and non-Roma) people had the opportunity to consider how these stories relate to their own lives and as well as to consider the everyday heroes in their own communities. Young people were also encouraged to use creative artwork to demonstrate these personal stories. These were shared on the Roma Heroes Blog and reached a much wider audience. In this respect, the project also helped to open a dialogue with wider society and challenged entrenched stereotypes of the Roma community. Selected young people were also invited to a five day ’workshop marathon’. Over these five days they had the opportunity to explore the Roma Hero narrative in further detail. The workshop marathon’s success was proven when these young people volunteered to be Ambassadors for the programme and hold further activities in their own communities. 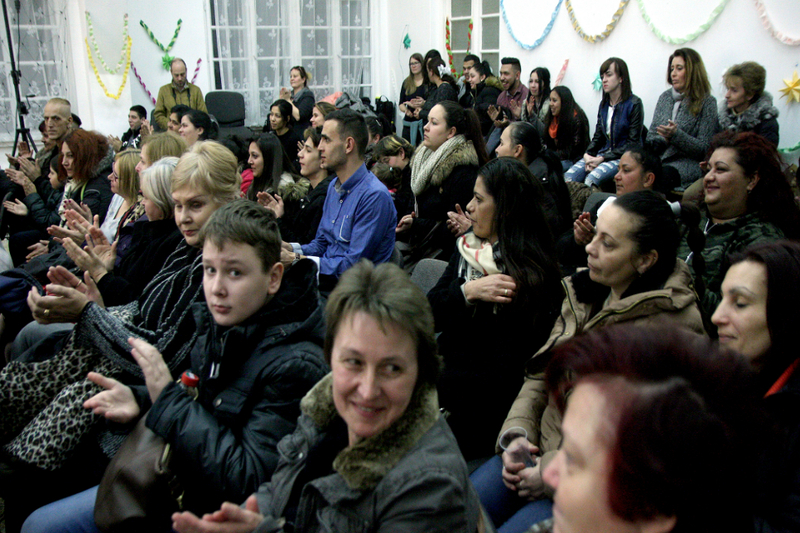 The first activity has already taken place at the Avas settlement in Miskolc and was a success. A further positive development was the addition of the methodology to the formal university curriculum. The workshop was hosted by the Department of Media and Communication at Eötvös Lóránd University. Furthermore, Professor András Müllner spent a term teaching his course ‘Case Studies on Communication’ which discussed the four plays, their background and the media communication from the festival. 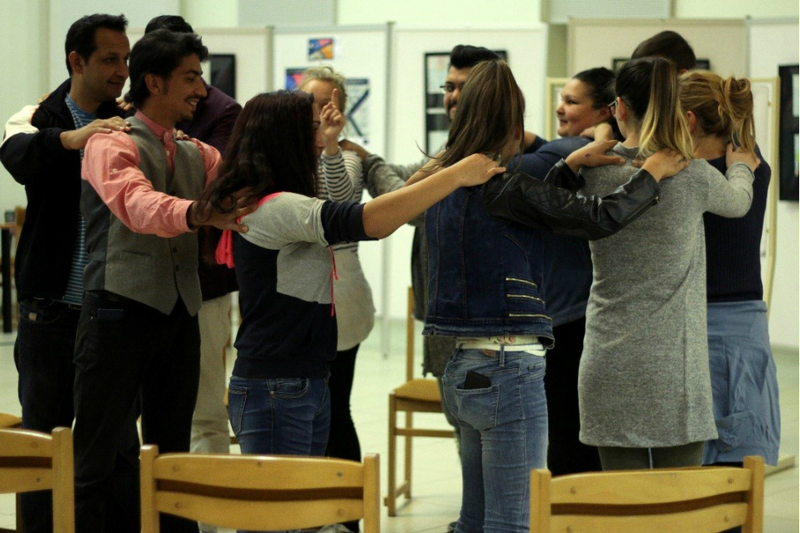 Not only do all of these experiences prove that that the works of Roma playwrights have a place in theatres, but that they also have a place in education, be it in the formal or the non-formal sector. Thus the Independent Theatre strives to share the methodology with educators, trainers and other professionals - they compiled comprehensive educational material and published it online. 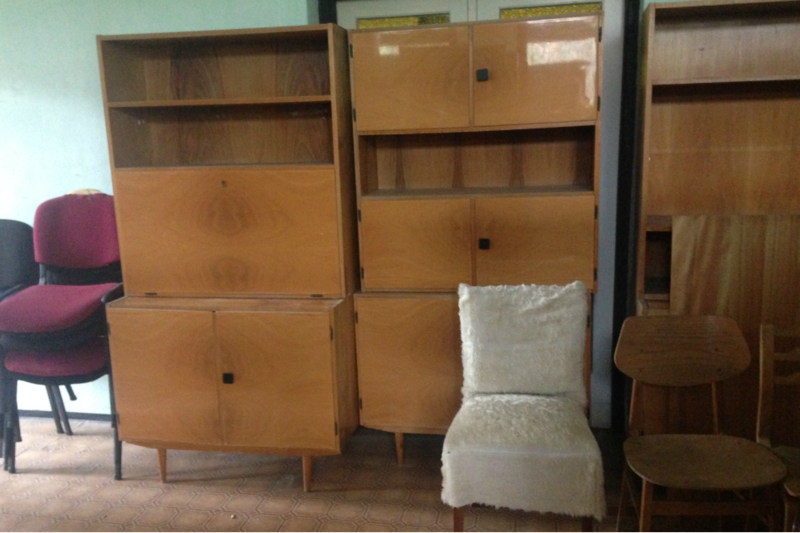 Those interested may request additional information at szinhaz@fuggetlenszinhaz.hu. 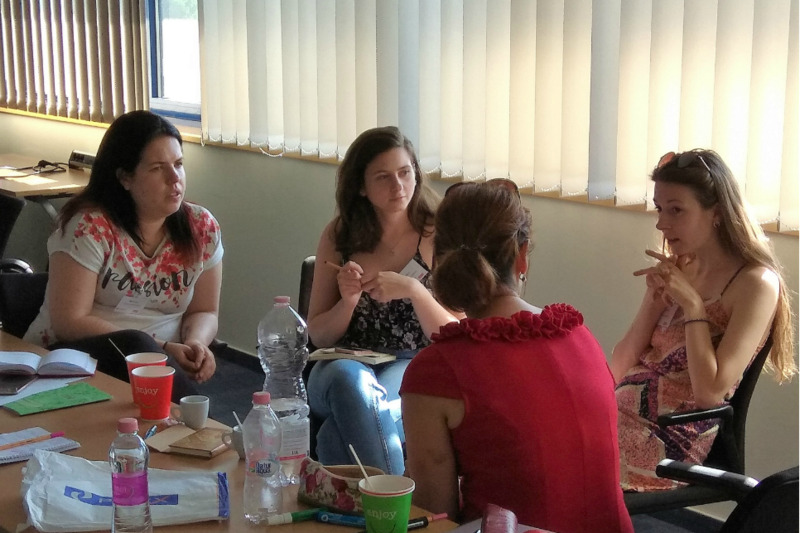 Strengthening the impact of the first Roma Heroes project, the second Roma Heroes festival took place in May 2018 to ensure even more visibility for the values of Roma dramas and heroes. The eight new plays performed at the second festival will be translated, recorded and added as further educational material. 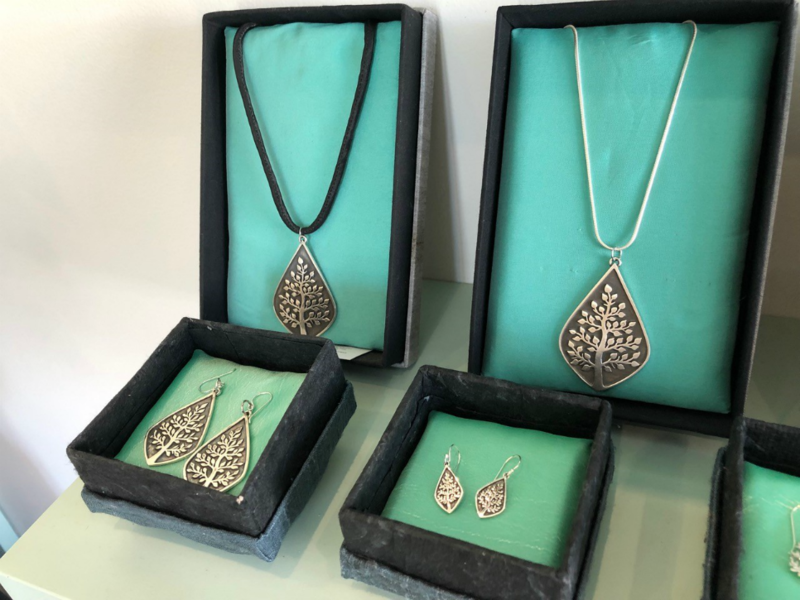 Using this enriched collection, IT will offer further workshops reaching 200 Roma secondary schools and university students in Roma Colleges. 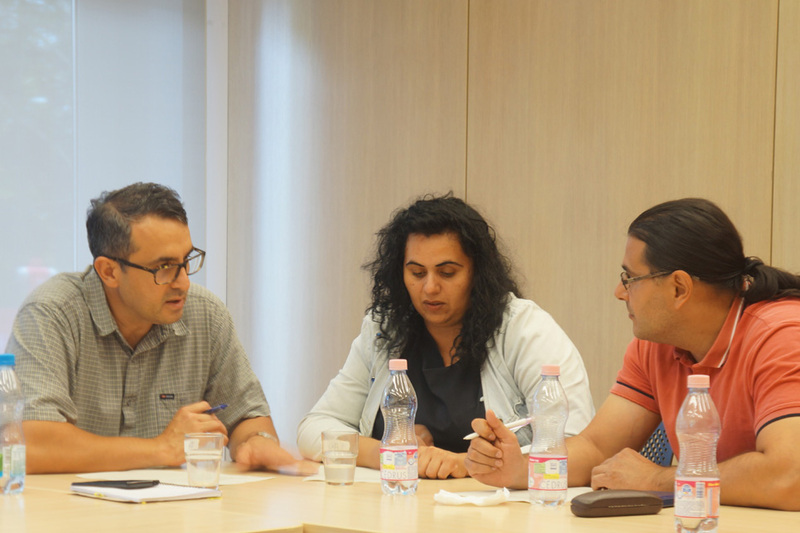 In addition, three university seminars will be organised at the leading Hungarian universities, incorporating Roma dramas into the mainstream university curriculum to initiate a structural and sustainable change at academic level. 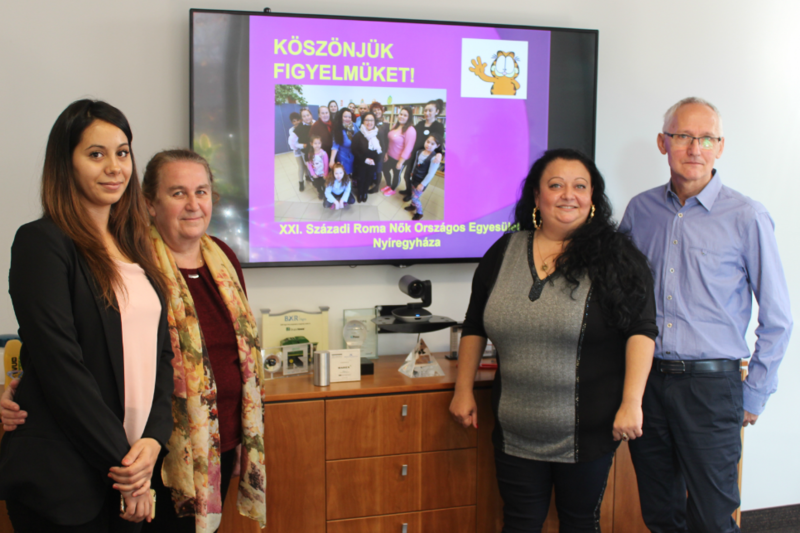 Beyond the work to raise awareness in Hungary, the team is committed to finding partnerships and cooperation further afield. 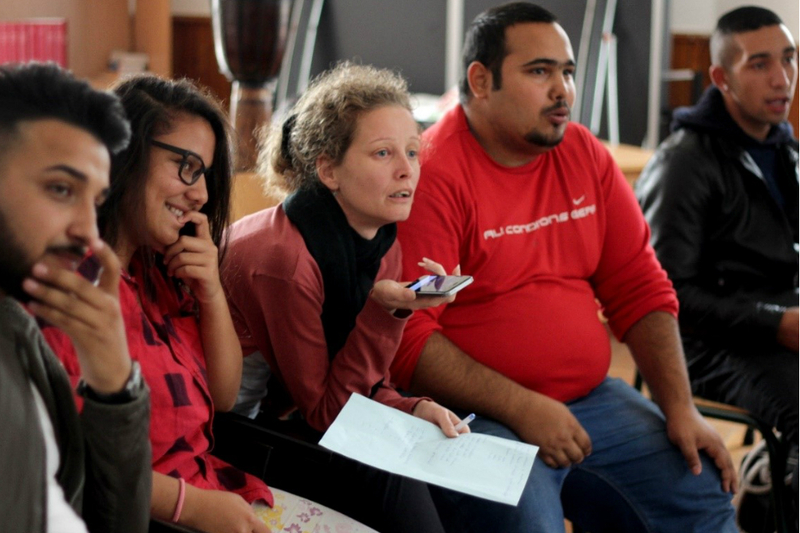 This would allow them to involve Roma and non-Roma youths in other regions – preferably, but not exclusively, in the home countries of the playwrights to feature at the Festival for a greater impact. * Gipsy is used as a direct translation for cigány in Hungarian. In February 2017, Badur Foundation re-launched its Social Enterprise Competition in cooperation with NESsT to identify and develop social enterprises that improve the employment chances and livelihood of people in deep poverty. In November 2017, the final business plans were presented in front of the Evaluation Committee. Based on the final pitches, the Board of Trustees selected Bagázs Association as the winner of the Springboard 2017 programme. Through the programme, they developed the business plan of a mobile charity shop that provides access to quality clothing at a very affordable price for underprivileged communities in Pest County, in addition to creating employment opportunities for two salespersons. 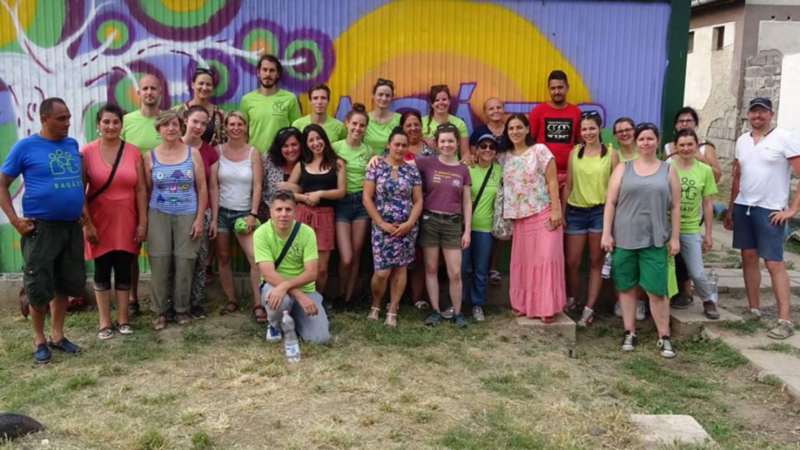 In the long run, the Association had always intended to complement the mobile shop by a charity shop in Budapest in order to enhance their social impact and to strengthen the financial vitality of the two complementary business initiatives. 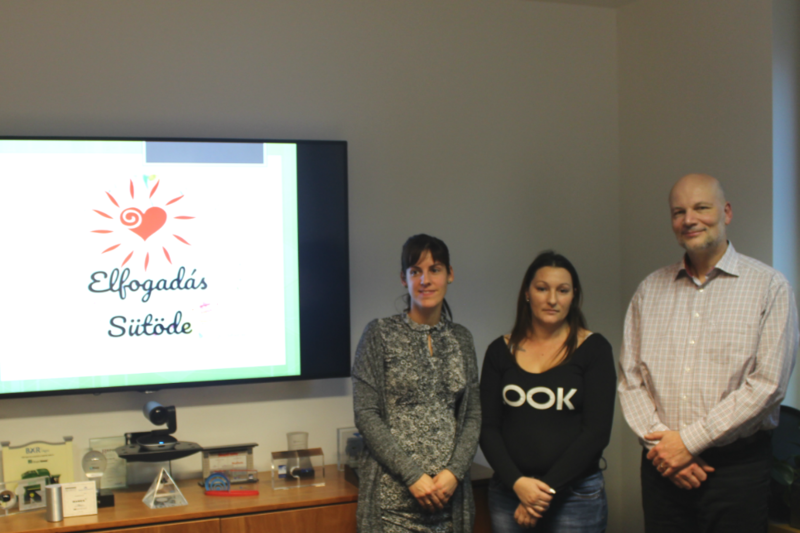 As part of their incubation award, Bagazs had the opportunity to develop a business plan for the charity shop in Budapest. 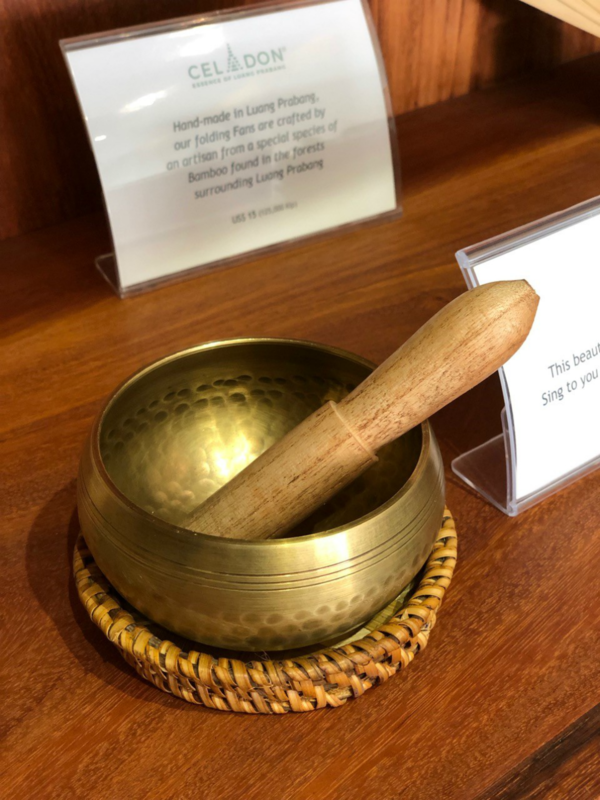 After having evaluated the plan, the Trustees awarded financial support to cover the start up costs of the charity shop and Badur will also provide long-term professional mentoring. The Trustees also awarded further incubation help to Kiút so that they can implement their business initiative. Kiút’s business intends to bridge the gap between firms experiencing labour shortages and long term unemployed persons. The social enterprise is expected to help place 100 persons annually on the formal labour market. Last, but not least, NMCKKSzSz was awarded additional mentoring to fine-tune their business plan of a family-friendly cafe in order to strengthen their project’s sustainability. 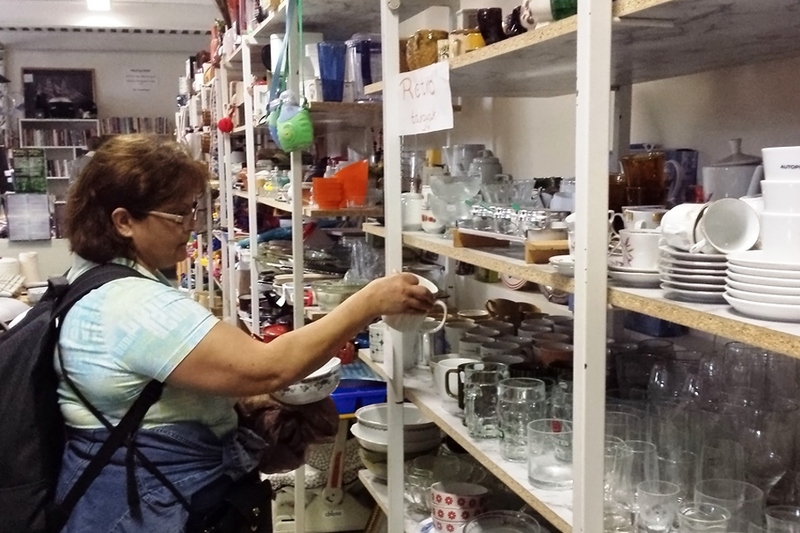 Charity shops couple an important social impact with significant environmental benefits. 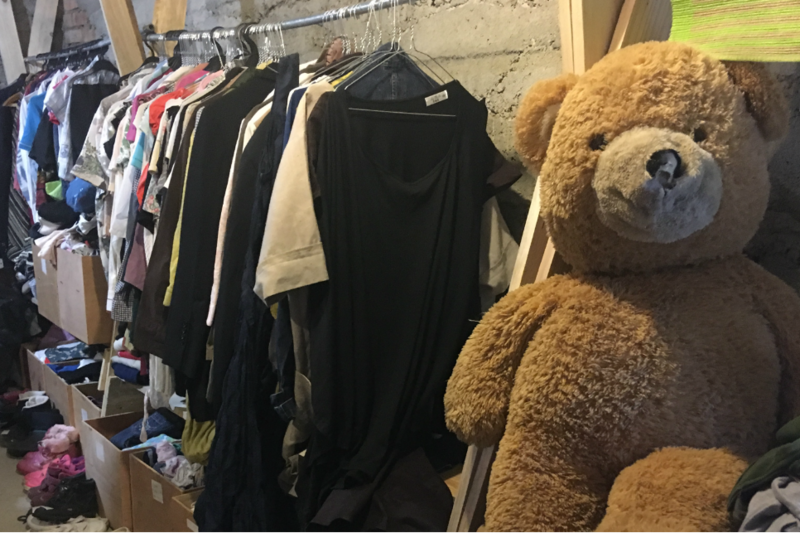 Badur Foundation in cooperation with PBG FMC and Impact Accelerator was proud to support the acceleration of Cseriti, Hungary’s first charity shop network that plans to expand its chain across Budapest and beyond. The first charity shop in the UK was opened in 1899, and by now there are around 10,500 operating shops across the UK and Ireland. 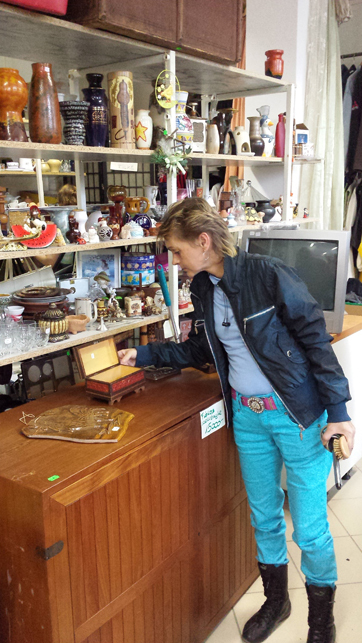 The concept is not only widely used in the UK, but charity shops are also widespread in other European countries. The conceptual and business models of these initiatives show remarkable national patterns. 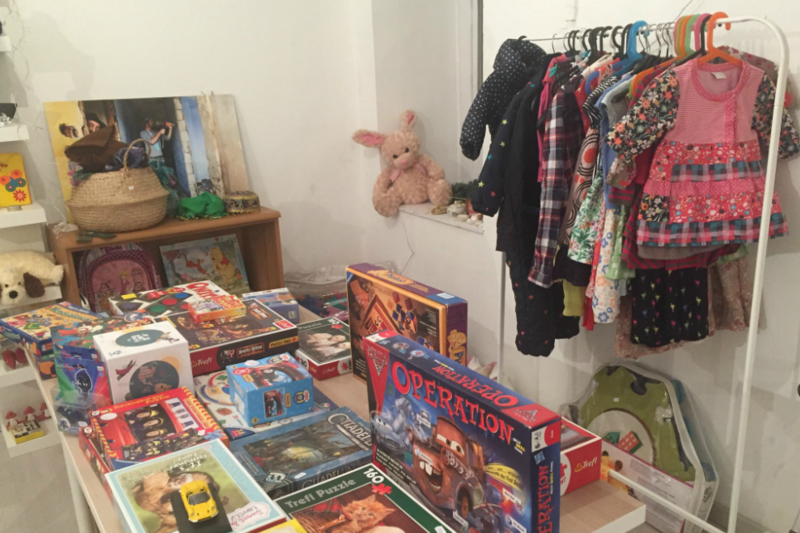 In the UK model, shops are usually operated by a not-for-profit organisation and run by volunteers. The low operating costs then enable the parent charity to use the profits to sponsor its primary purpose-led activities. In the German model, shops tend to employ individuals, who otherwise would not find a job on the primary labour market. 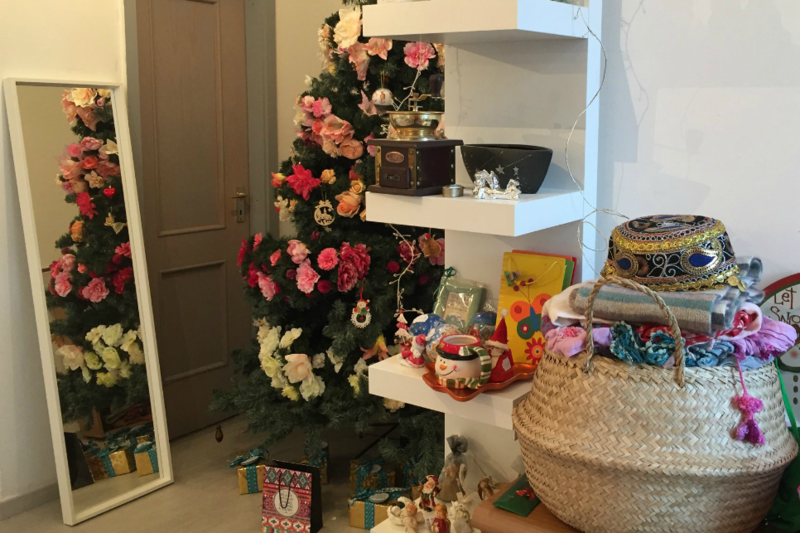 Thus, the revenue is primarily used for expansion so that the charity shop network can create further employment opportunities and multiply its social impact. Notwithstanding both models have common additional benefits such as reusing second-hand items and saving them from the landfill. Cseriti set up its first shop in 2011 in Budapest and, ever since, more and more sites have been opened. The network currently operates 9 shops. 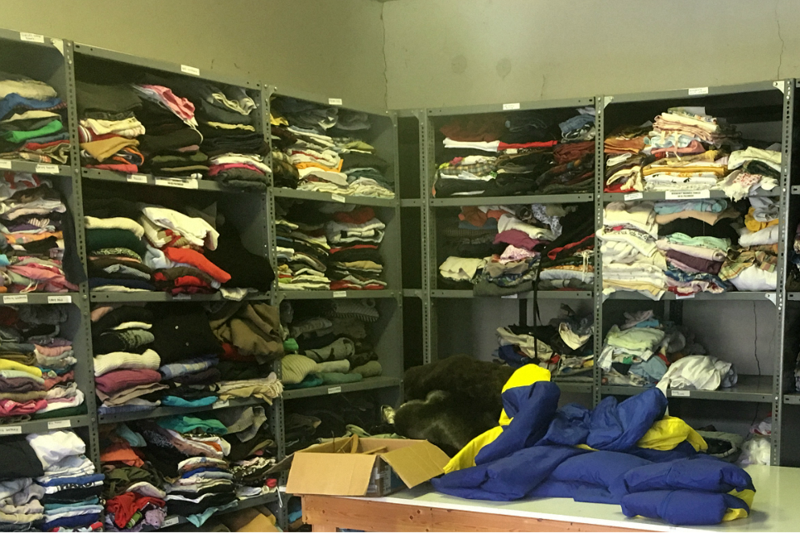 Cseriti follows the German model and has a threefold impact: Cseriti makes shopping affordable for those in need, creates environmental benefits through reuse, and offers employment opportunities for the unemployed. The management of Cseriti has an ambitious plan for the future of its operations. In the short term, they would first like to expand the chain across Budapest, potentially followed by a country-wide expansion in the long run. In order to prepare for this process of expansion, Cseriti took part in the Impact Accelerator programme run by Civil Support. Badur Foundation, in cooperation with PBG FMC, committed to contribute to the financial costs of the acceleration in addition to offering their strategic input. The ultimate aim was to help the enterprise become investment-ready so that they can scale up their operations and social impact. The acceleration started in the spring of 2017 and ran through the autumn of 2018. The process enabled Cseriti to evaluate its current operational model and devise a growth strategy. This was supported by a complex business model capable of testing different scenarios. Cseriti, along with the Foundation and other intermediaries, deemed the process very insightful and beneficial. 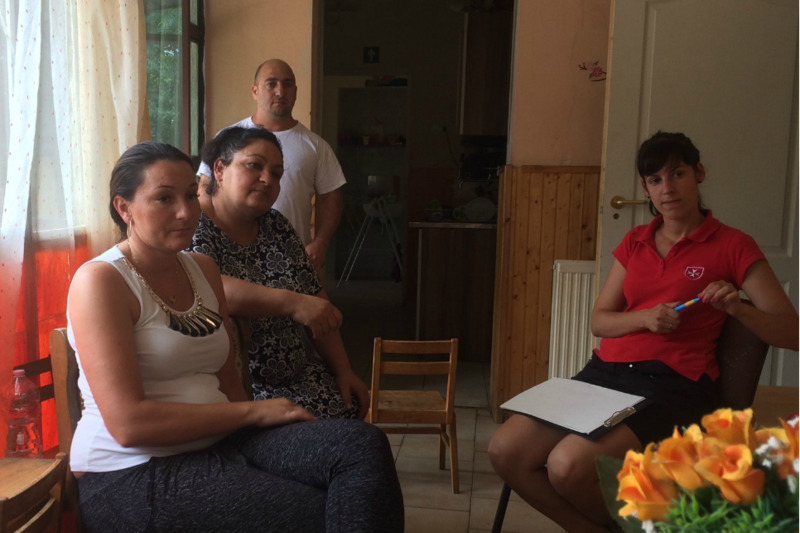 How Can Young Roma Achieve Success in Hungary?